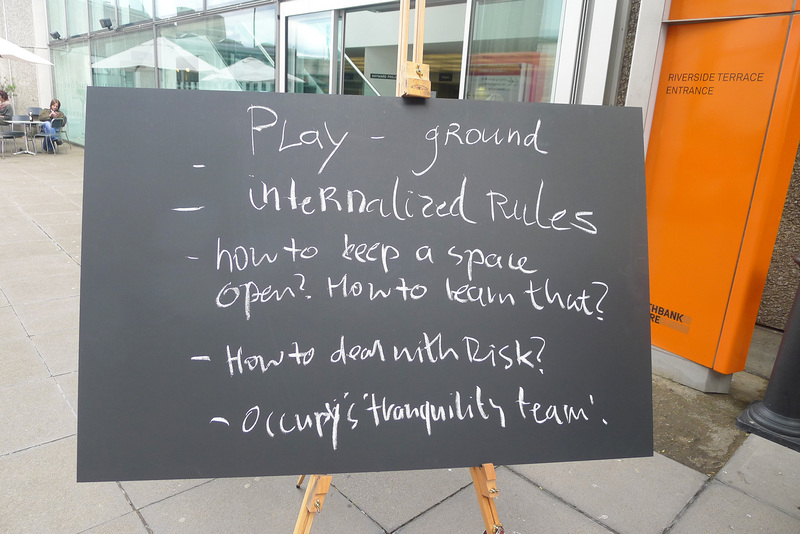 Public Faculty uses strategies to rethink, redefine and re-enter public space through collective cultural action. 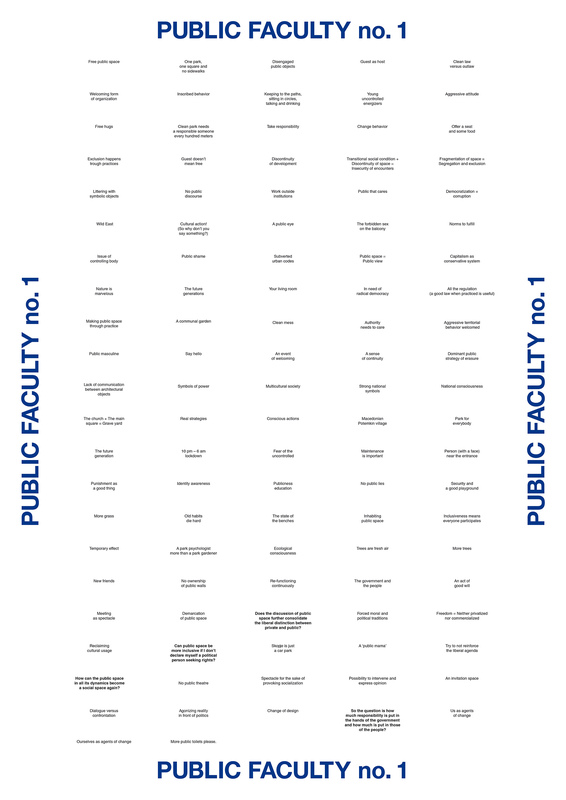 The impetus behind Public Faculty is to learn from a place through a process of exchanging knowledge and cohabitation, and by listening to people describing their daily conditions in which they often feel trapped. 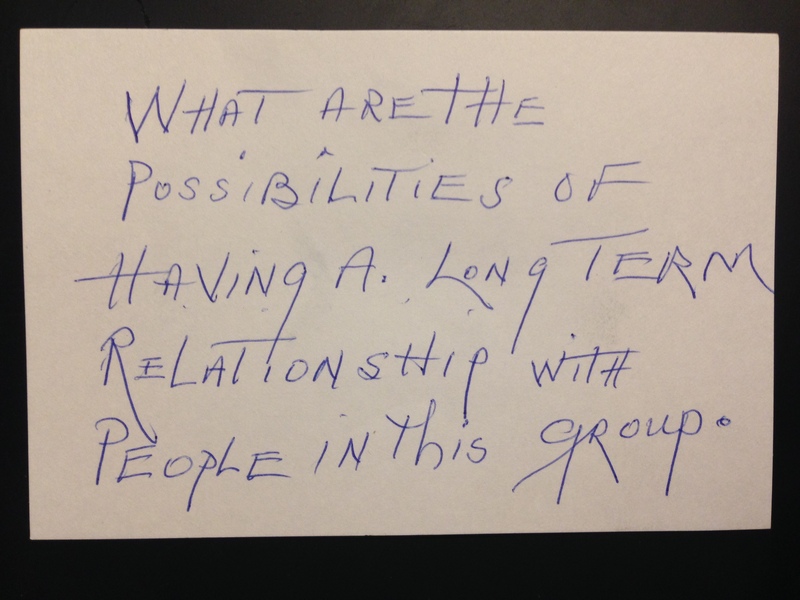 It is a practice of determining how an existing conflict can be made productive by communication and by collective thinking about the situation and by making this process public. 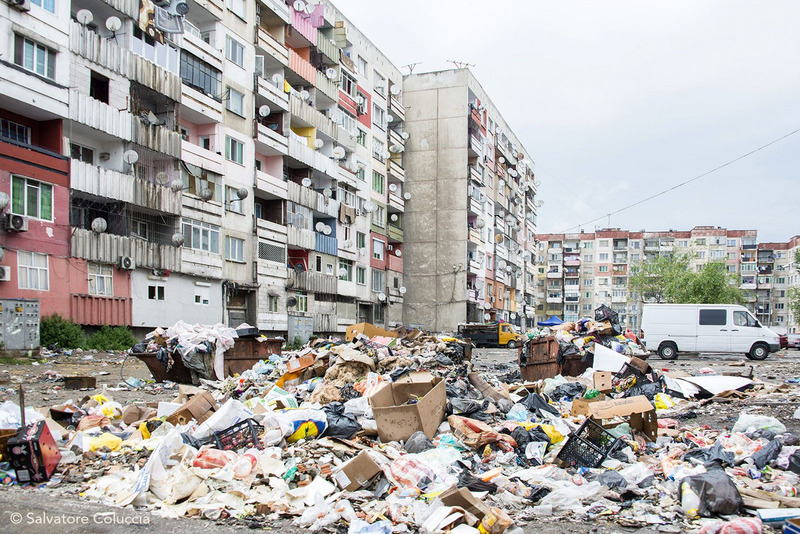 Each situation is different, but what they have in common is that they are local and specific embodiments of larger conflicts about who should be responsible and care for our common space, and whether forms of solidarity are imaginable. 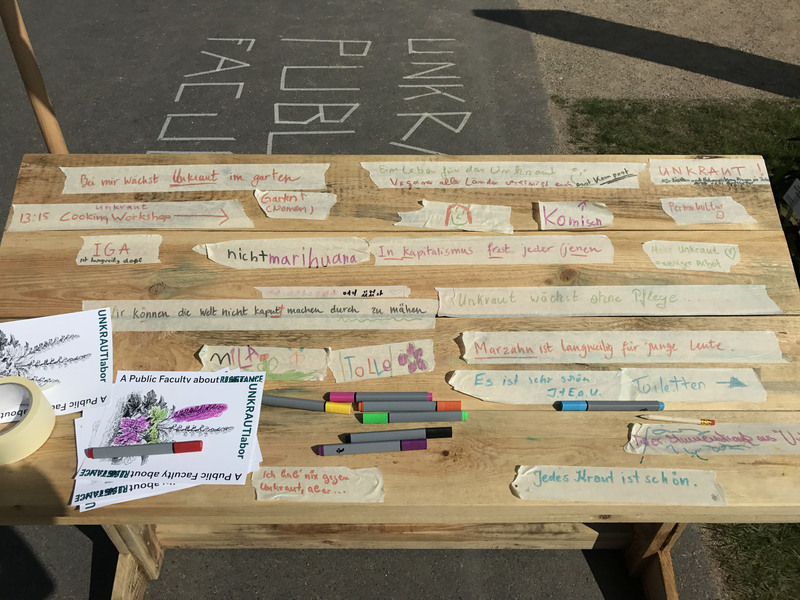 Public Faculty is not so much about identifying answers, but for the participants to listen for “nuance” that can reveal the “emotional texture of a place”. People carry the specificities in their emotional tissue. Through this learning experience we have to work with the embodiment of general conflicts and over time build a collective agency. 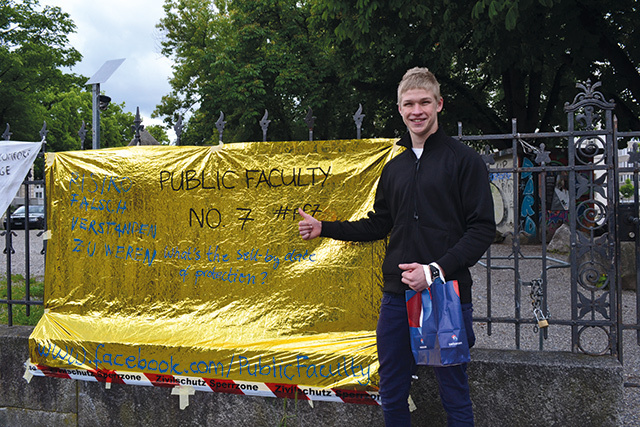 Over the past eight years, Public Faculty has taken place in 11 different locations. 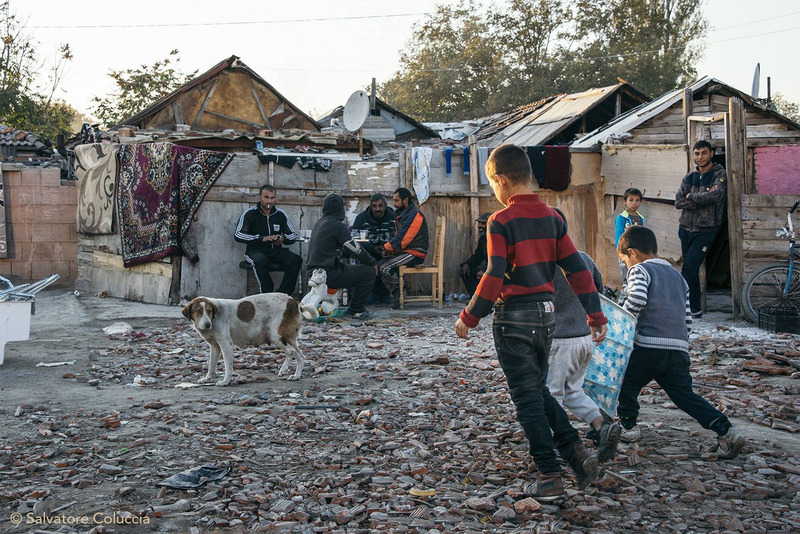 From City Park in Skopje to the main shopping street in Copenhagen, and from Hollywood Boulevard in LA to Stolipinovo, one of the largest Roma settlements in Bulgaria. 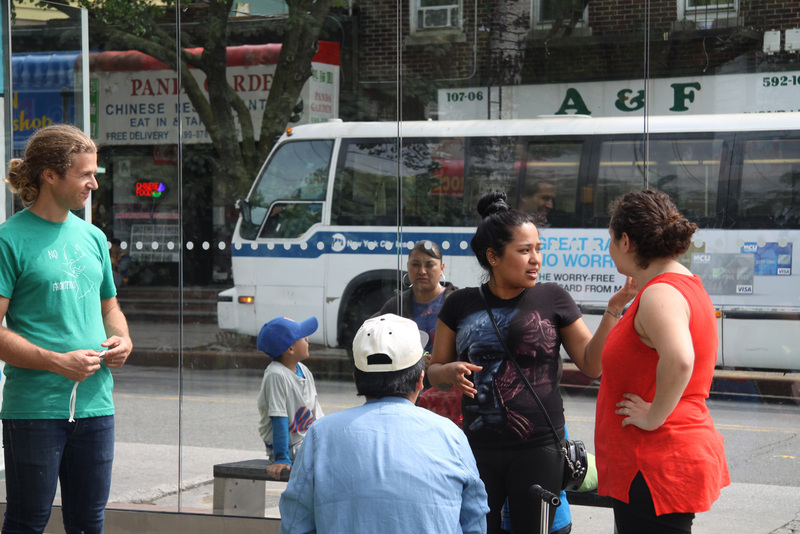 Working with local civic associations, cultural institutions, activists, street vendors, youngsters, and residents – natives and immigrants – informal conversations have discussed questions such as: Who should care for public space? Who’s public budget would you cut? 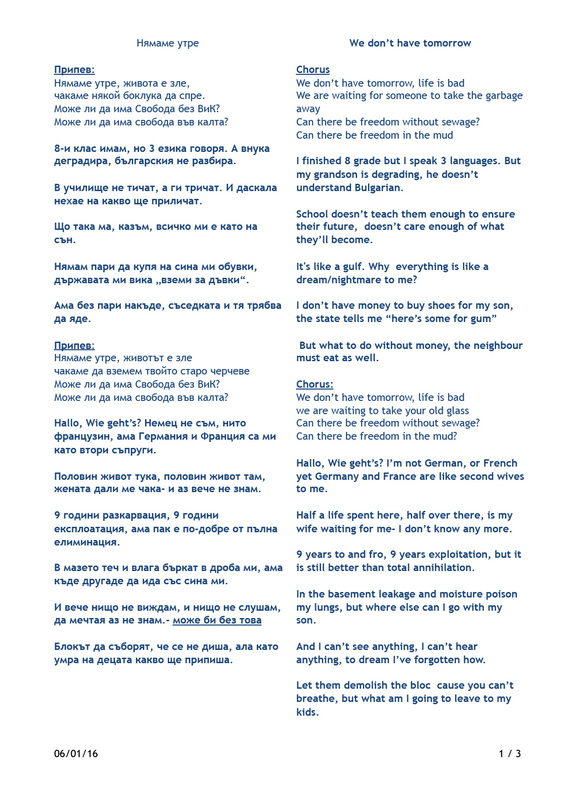 (about austerity measurements in Europe). What does it mean if your identity is recognized as mischievous? And what do we need to be protected from (on borders and migration)? Public Faculty took place in the following locations: Skopje, Macedonia; Rotterdam, The Netherlands; Vranje, Serbia; London, England; Copenhagen, Denmark; Gent, Belgium; Zurich, Switzerland; Hollywood, Queens, Sunset Park, USA; Stolipinovo; Bulgaria; and Berlin, Germany. 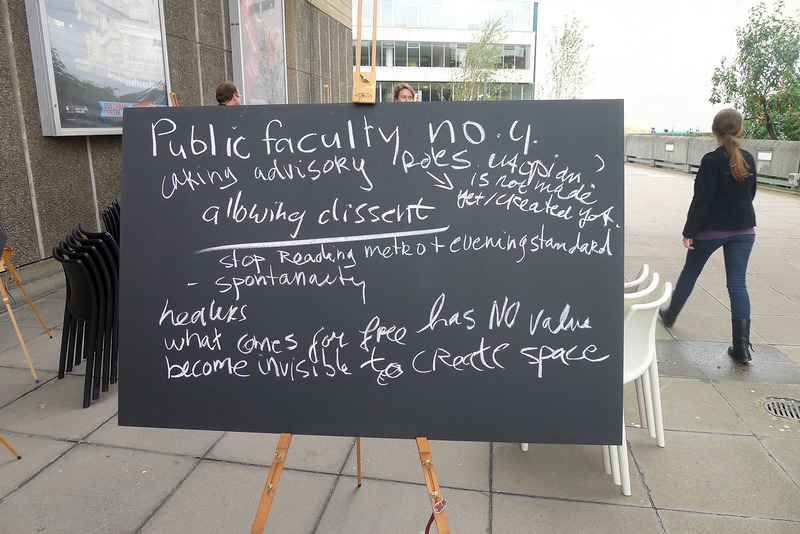 Public Faculty references to Joseph Beuys’ seminal work ‘Richtkräfte’ (Directive Forces), an installation of 100 blackboards created for public discussions and later held at the Institute for Contemporary Art in London in 1974. 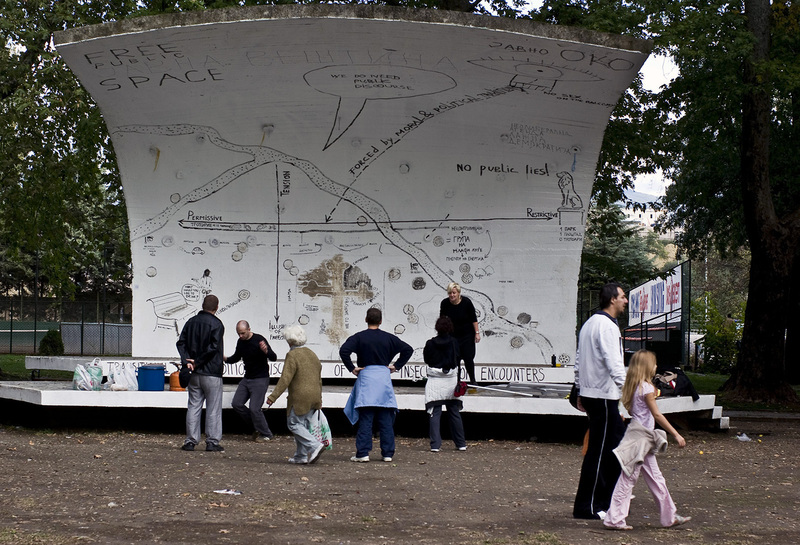 Using Steiner’s concept of ‘thought drawings,’ Beuys used chalk on blackboard to communicate to his audience the basic principles of his theory of ‘social sculpture’ – freedom, direct democracy and sustainable economic forms – and illustrate his “anthropologic construct” for a better world. Jeanne van Heeswijk believes that "radicalising the local" is one of the most important things in the effort to develop communities. 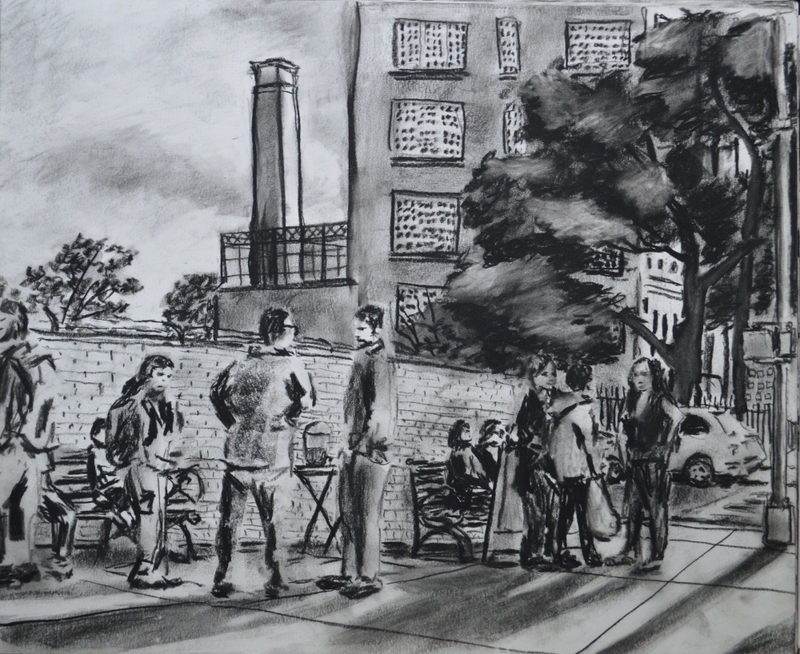 For somebody to be a citizen, to take part in the shaping of a city, there has to be a sense of belonging. 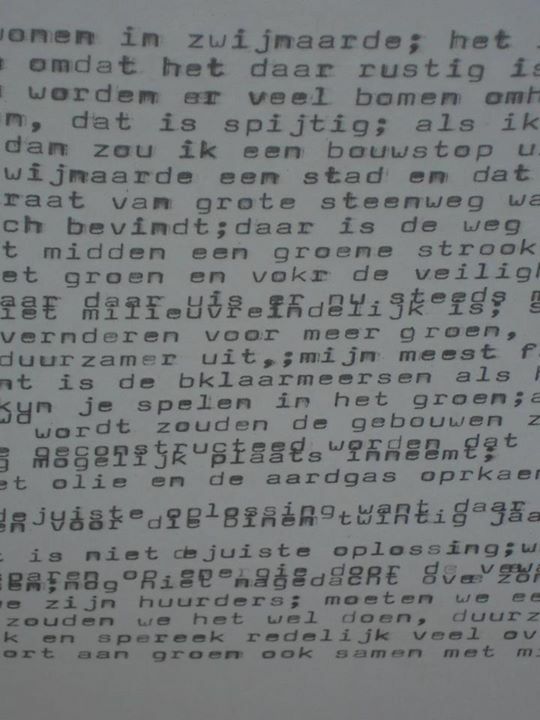 This is the premise of much of the work that Dutch artist Jeanne van Heeswijk concerns herself with. She believes that the people in a community are the best suited to developing, improving and managing the interests in that community. At Design Indaba Conference 2013 Van Heeswijk spoke about the public space projects she is involved, with specific references to one in Rotterdam in the Netherlands and one in Liverpool in the UK. For her, creating public faculty starts with embedding oneself into the community and just going and speaking to people. People need to be engaged in a conversation with each other to learn how to collectively think about organising issues of public interest and concern. As an artists Van Heeswijk is concerned with the question of how the skills of the artist or designers can be applied for social good in a complex world that is undergoing rapid change and experiencing pressure from the forces of globalisation. 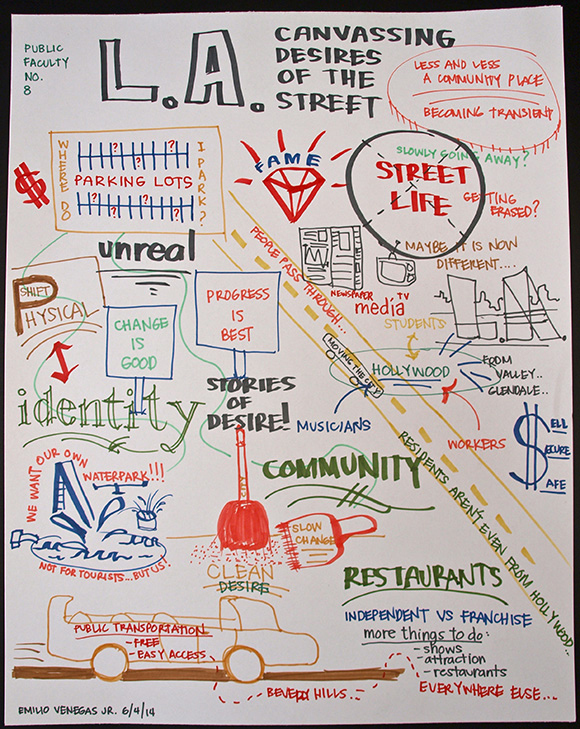 In developing urban communities Van Heeswijk proposes that two important things need to happen. The one is that local production needs to be radicalised, so that the community can tap into existing qualities in the area and find ways of making this more tangible and more visible. Secondly, Van Heeswijk says, communities need to be encouraged and assisted to take matters into their own hands -- to create their own antidote. 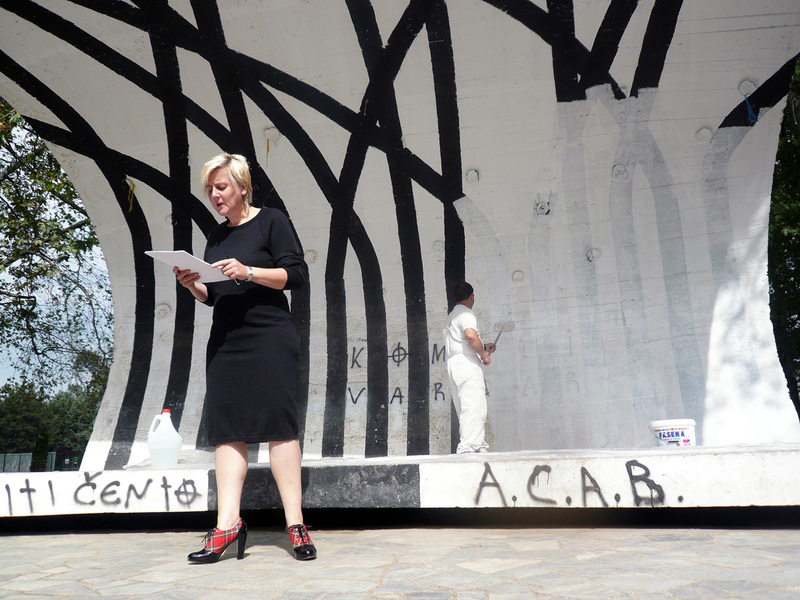 Repetition is arguably the most important element of urban activities for Van Heeswijk. "Repeat, repeat, repeat, learn, make mistakes, test again, re-take, try again, do it again and again," she says. And in all of this it is important to get the skills of different people in the community involved. 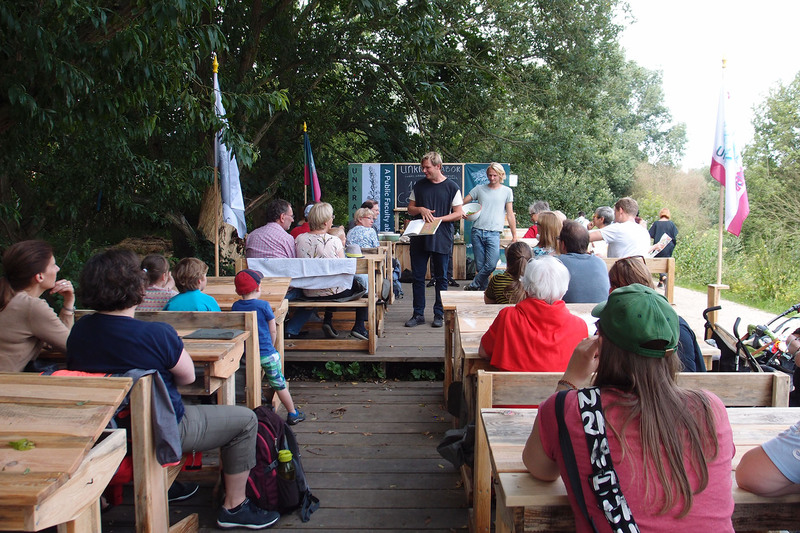 Van Heeswijk also spoke about the notion of a creative city, organisational forms in community building, storytelling and the importance of thinking about a neighbourhood as a small-scale alternative. 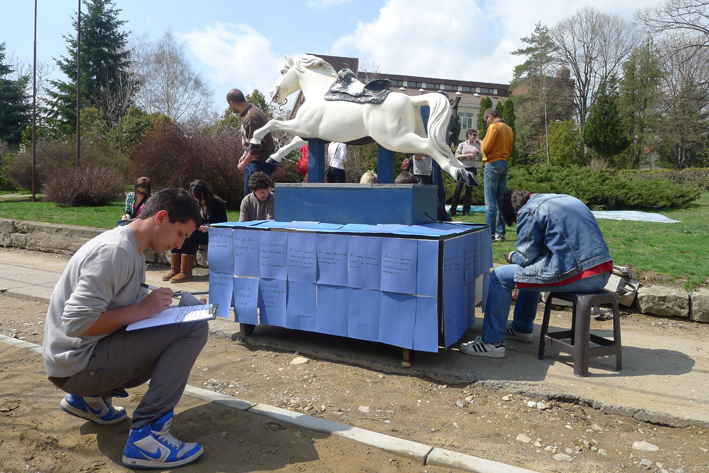 The project took place in the Skopje City Park from October 1st until October 5th 2008. 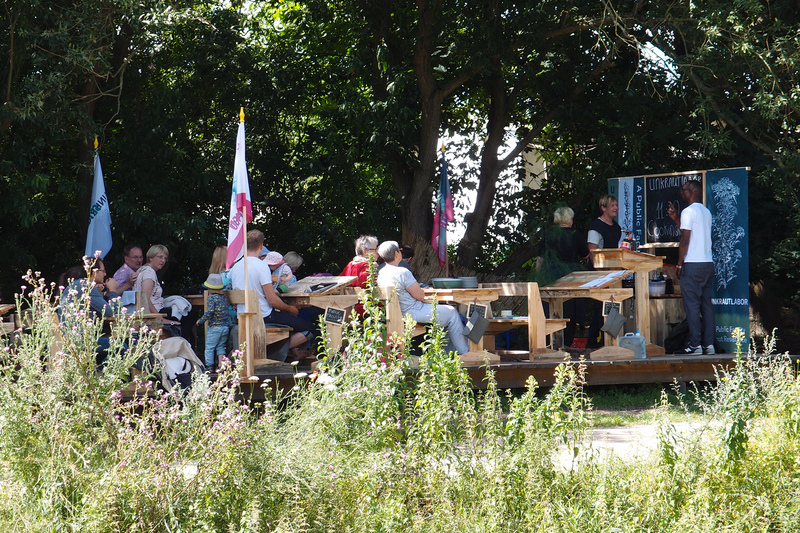 Every day from 12:00 - 17:00 o'clock except for Saturday (October 4th) Jeanne van Heeswijk had a talk that was broadcasted live on the radio station Channel 103. Public Faculty No. 1 was specially commissioned public project in the framework of the Visiting Curatorial Initiative programme of press to exit project space. 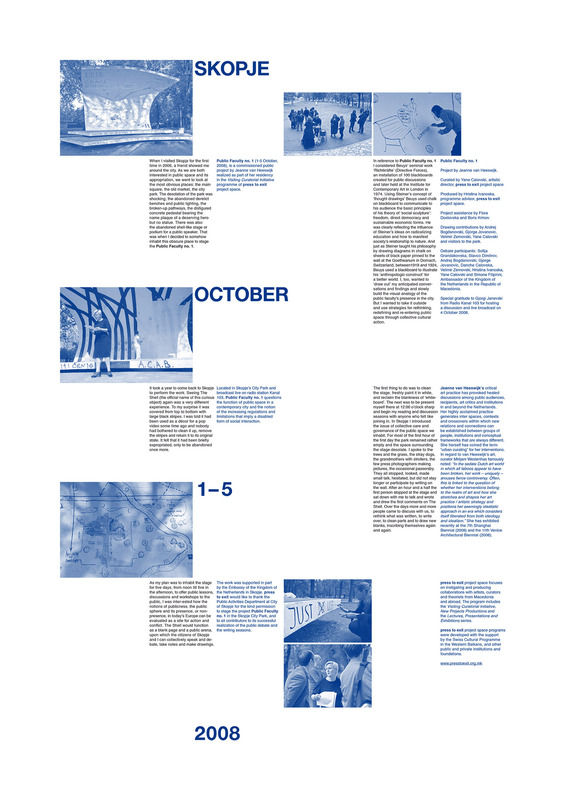 This work questions the function of public space in a contemporary city and the notion of the increasing regulations and limitations that imply a disabled form of social interaction. Public Faculty No. 1 will took place on the recognizable Shkolka (Shell) Stage in the Skopje City Park. During the designated hours, lessons, discussions and workshops where staged. 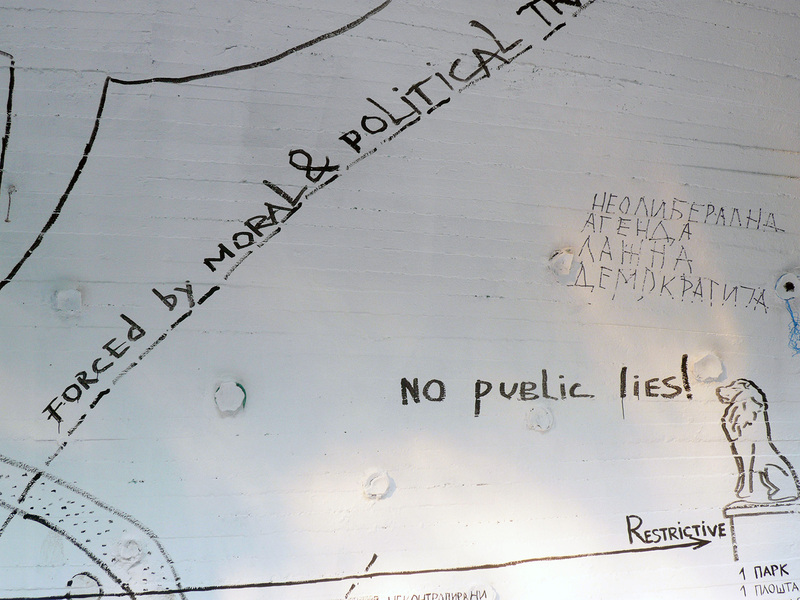 All the activities where open to the public and help to define the local notions of publicness, its presence or non-presence in local, regional and wider European context, and its identity as a site for action and conflict. 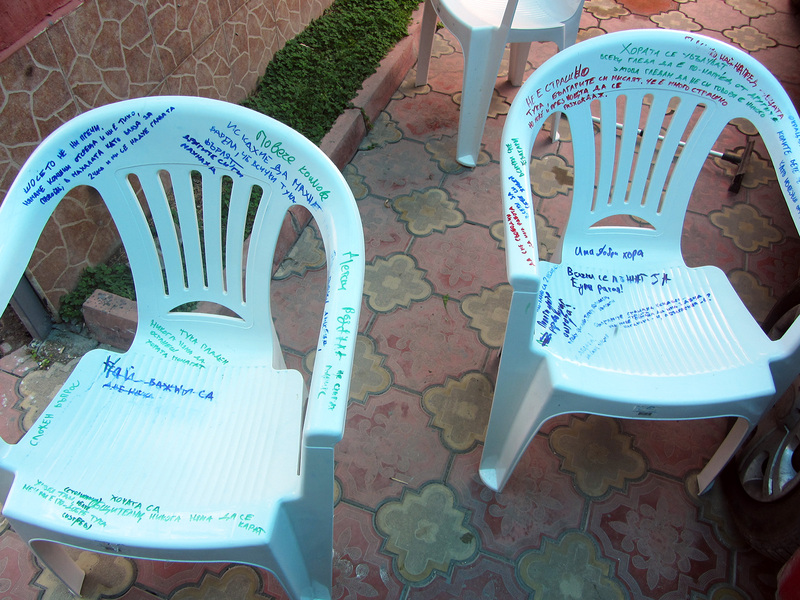 Shkolka (Shell) Stage functioned as a white board where each day a new specific theme was discussed and lectured about. In April 2010 Jeanne van Heeswijk moved into her new studio at the Sint Andriestraat in the Oleander Neighbourhood in the South of Rotterdam. Three empty shops and two apartments next to the Oleander square. A square with a bad reputation due to cultural nuisance. 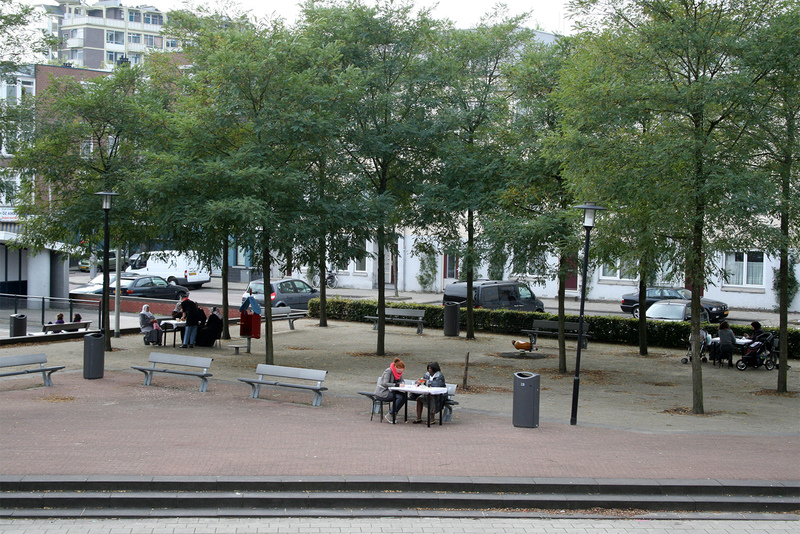 It is small square with a playground, a football field and 14 benches. There is always a mixed group of people present at the square. Mothers with children, groups of young and old men, Antillean, Turkish, Moroccan, Dutch and Bulgarian people. The square is lively and divers and it quickly felt like home. 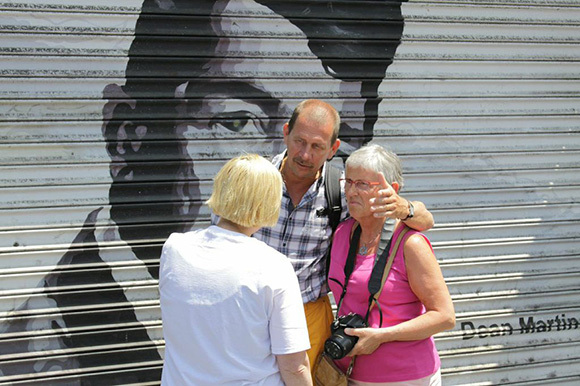 At the 18th of August 2010 there was a shooting incident that attracted a lot of media attention. The local government reacted imiddiately with 24-hour surveillance, mobile camera's, an urban marine, police by car, by motorbike, by horse, by bike and walking around a by then empty square. 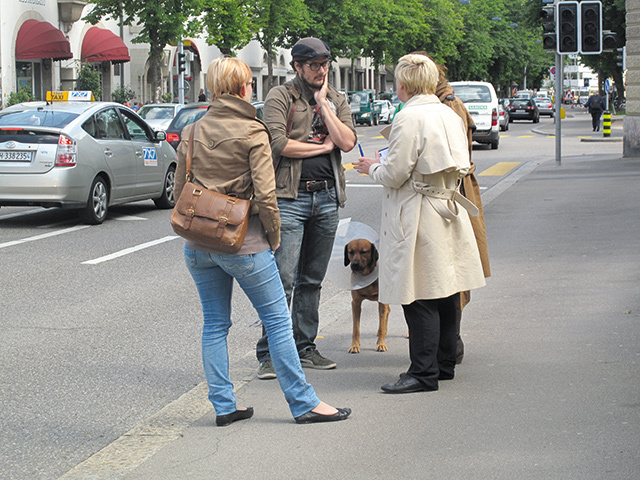 The result was al lot of insecurity in the neighbourhood and the question was how to pick up the conversation again. Public Faculty No. 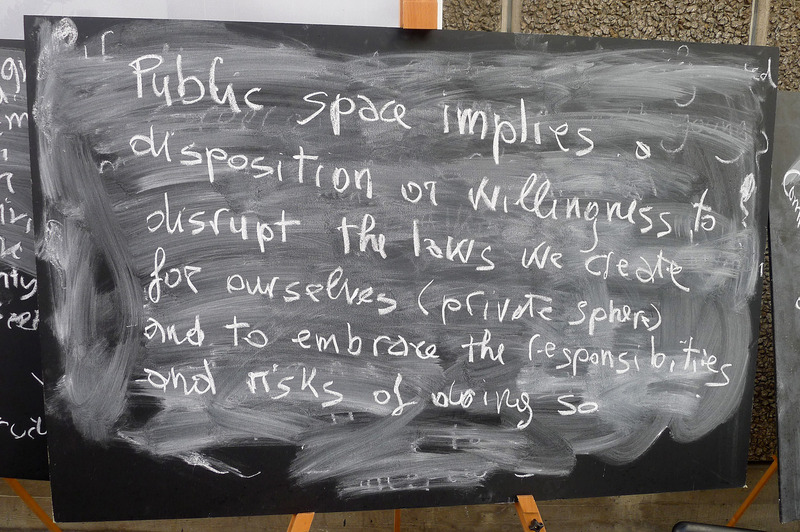 2 questioned the role of public space in the contemporary city and the notion of the increasing regulations and limitations that imply a feeling of safety. Whenever somebody sat down a bench immediately a waiter came out with a beautifully set table and offered coffee or tea. 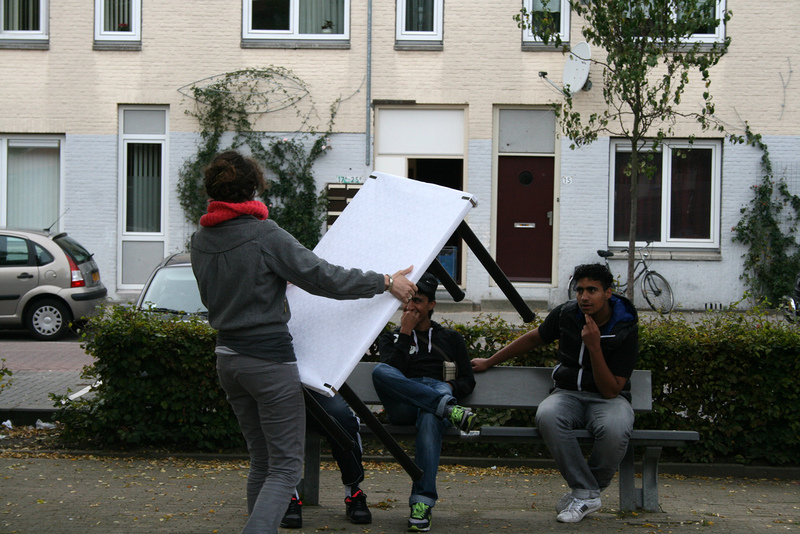 It was the start of a conversation about the perception of the square and what is desirable cultural behaviour. 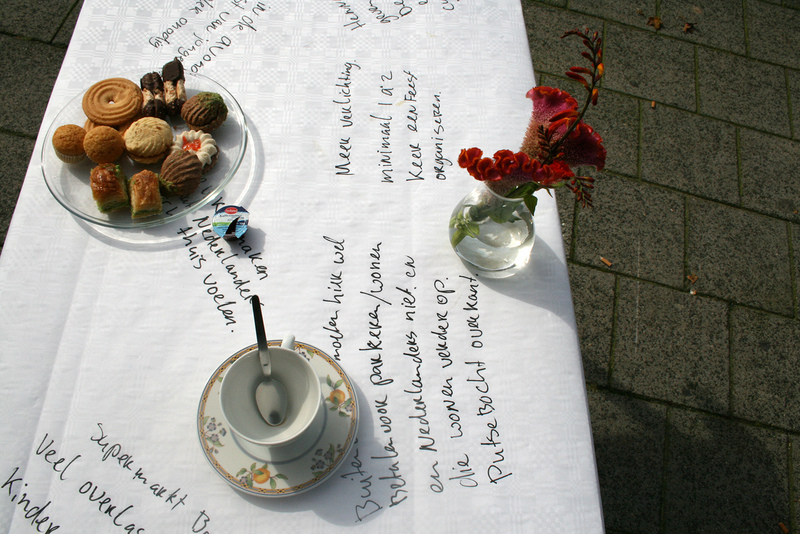 The answers and thoughts where written on the table cloth. 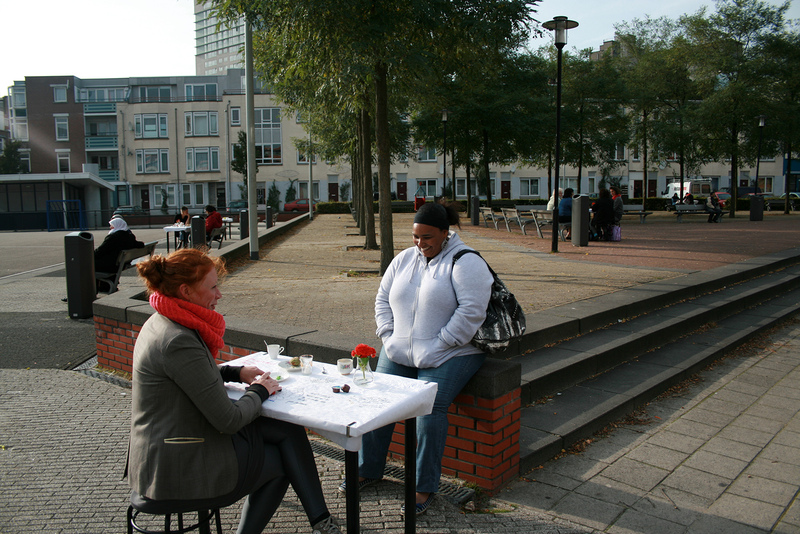 A cup of coffee as an urban intervention. 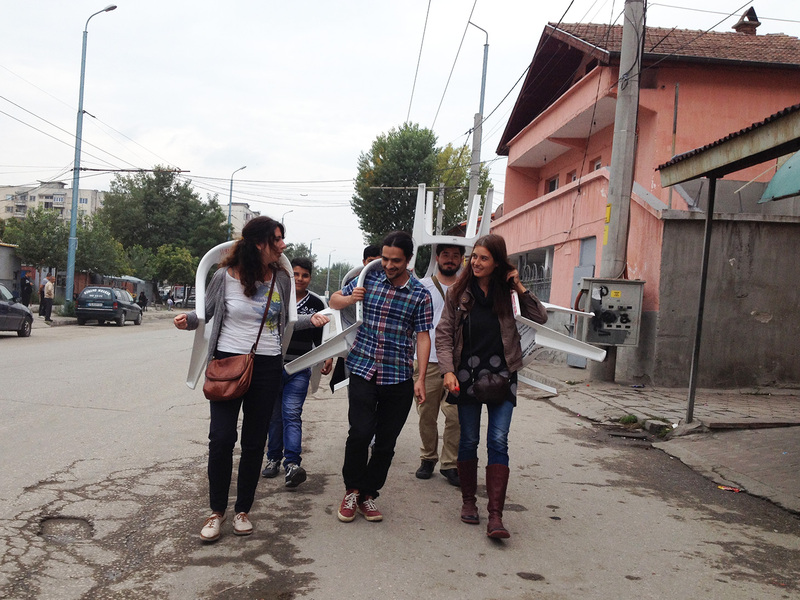 Public Faculty No.3 took place in Vranje, Serbia in collaboration with the NGO Generator. Generator was founded in January of 2001 by a group of young activists from Vranje as an association of citizens with the primary aim of promoting and preserving culture, art, with a focus on youth in multiethnic southern Serbia. For this event a mobile statue was moved by a group of young people to various location in the city, which have a low social life. 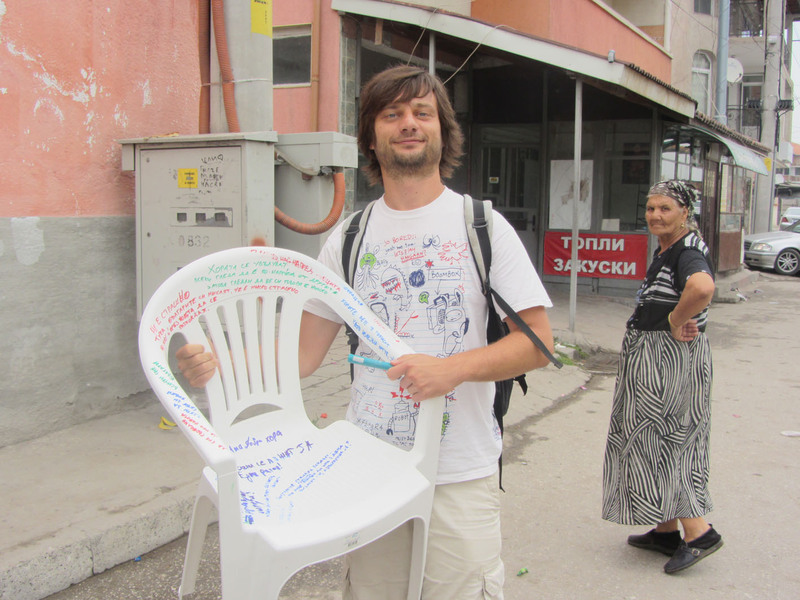 For interviewing passengers about their opinion how to improve the public life in the city, the group choose an old swimming pool, a map of a city in front of the statue of "Čika Mita", an empty culture center and a small park next to the teachers education faculty. "Do you have an idea how to make this area more beautiful and useful?" 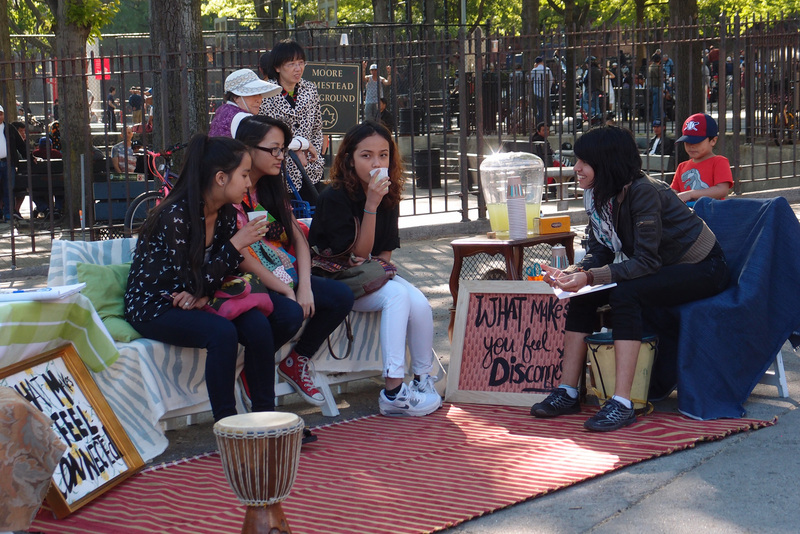 "Do we always need to use public areas to earn money?" 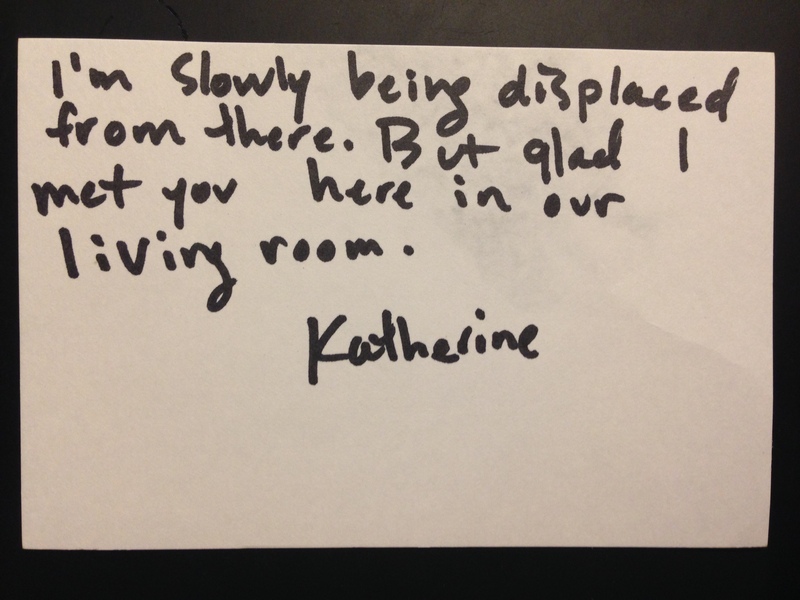 "What kind of memories do you connect to this place?" To underline the message of the action, the mobile statue used to be an mechanic horse, which is commonly known in the city. Children used to ride on it in the eighties, in front of a shopping center, which is no longer used now. 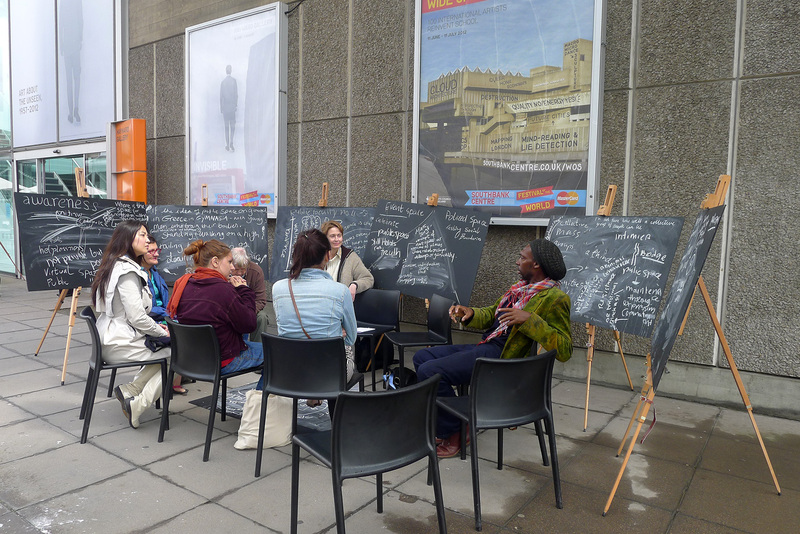 This event was part of the alternative art college "Wide Open School" and took place in front of the Hayward Gallery in London. 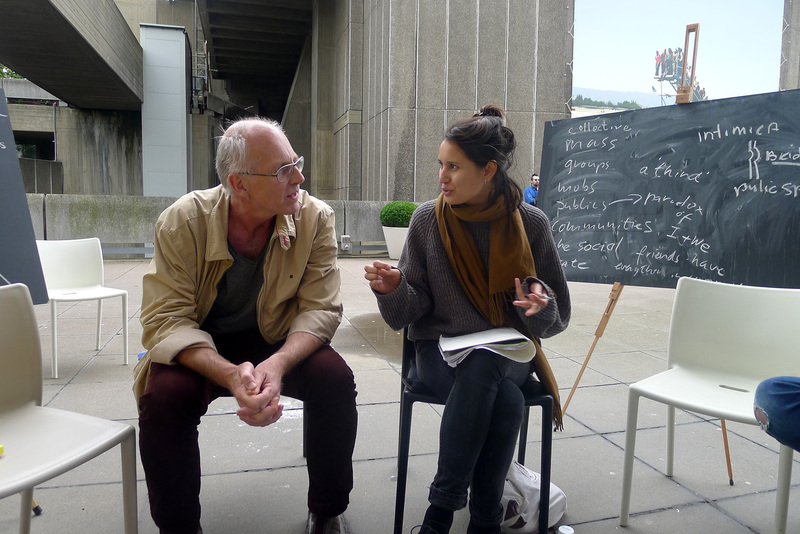 Over the course of four days philosopher Johan Siebers and Psychoanalyst Maaike Engelen spoke about learning in public spaces. 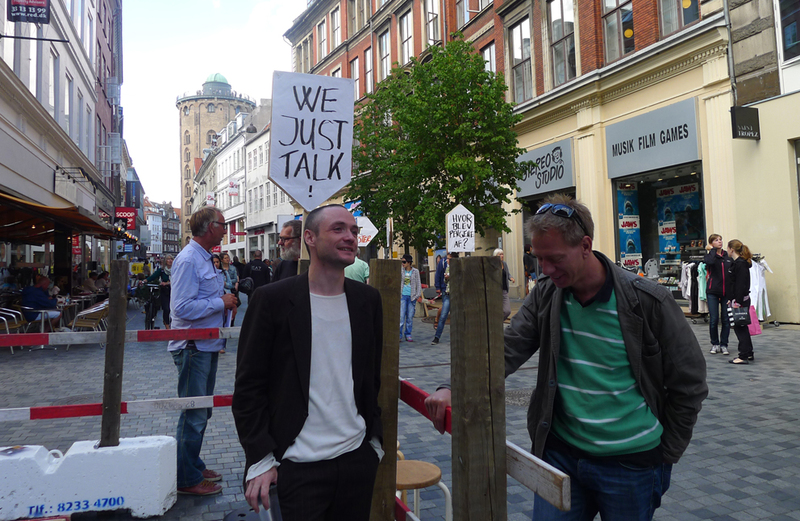 As it took place in public, everybody was welcome to share his own ideas. 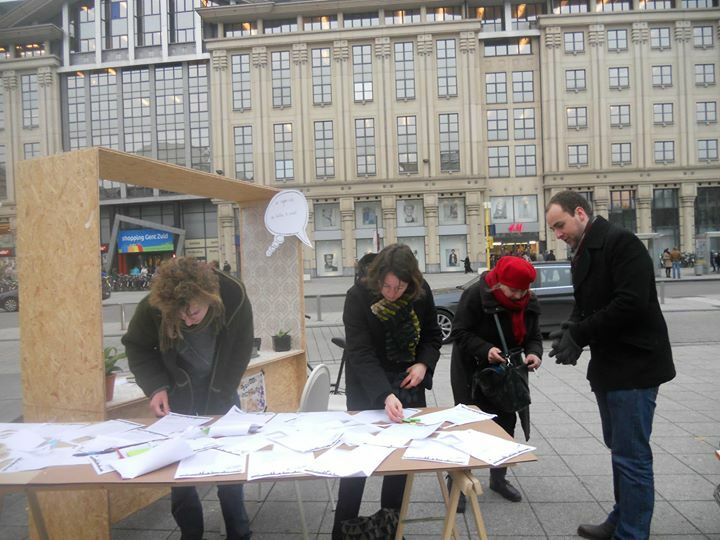 As a starting point they used the idea, that public space can facilitate responsible and collective learning in society. 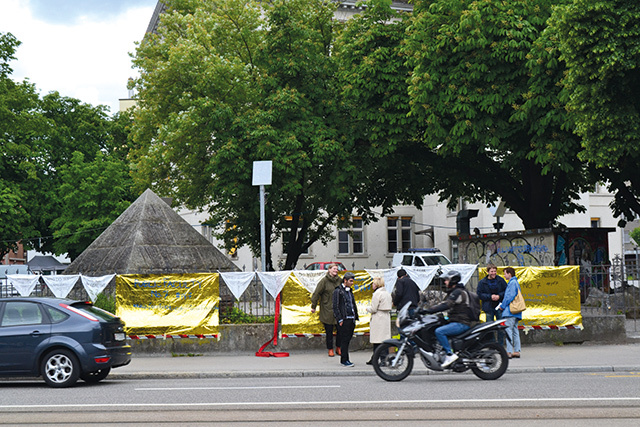 As a part of "Copenhagen Art Festival", the artist Jeanne van Heeswijk started a public project in collaboration with Rasmus Uglit from the "Centre for Wild Analysis", with the economical crisis in Europe as initial point. 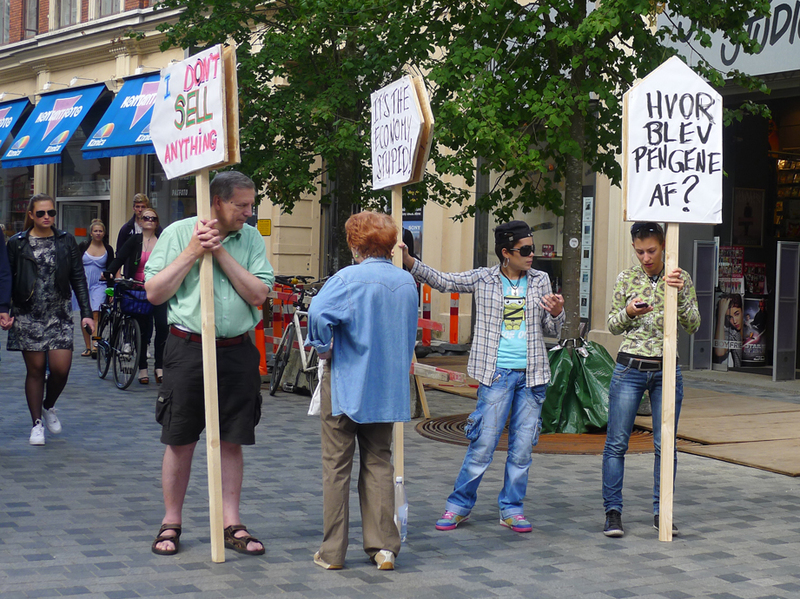 The action took place in the main shopping street of Copenhagen, where passengers were invited, to participate in exchanging knowledge, ideas and concerns about their behavior in the economical crisis. 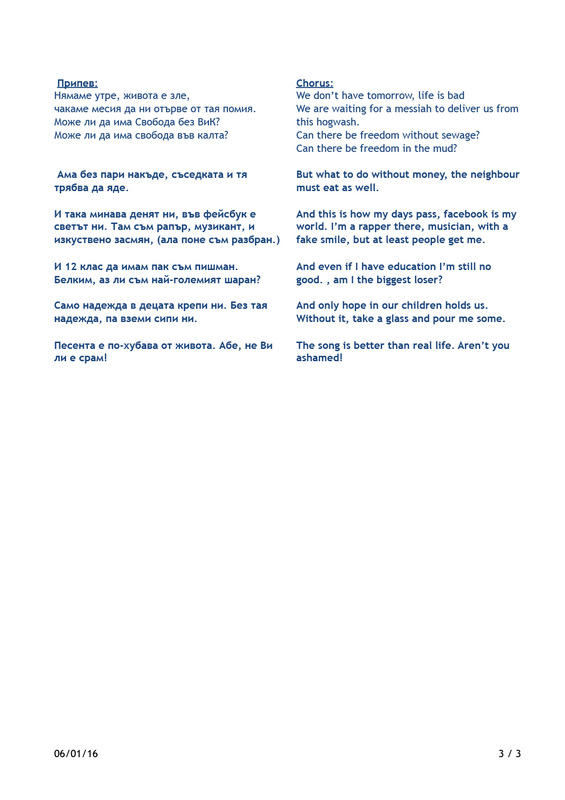 Beside creating signboards with comments and questions, for the publicity, the Public Faculty No. 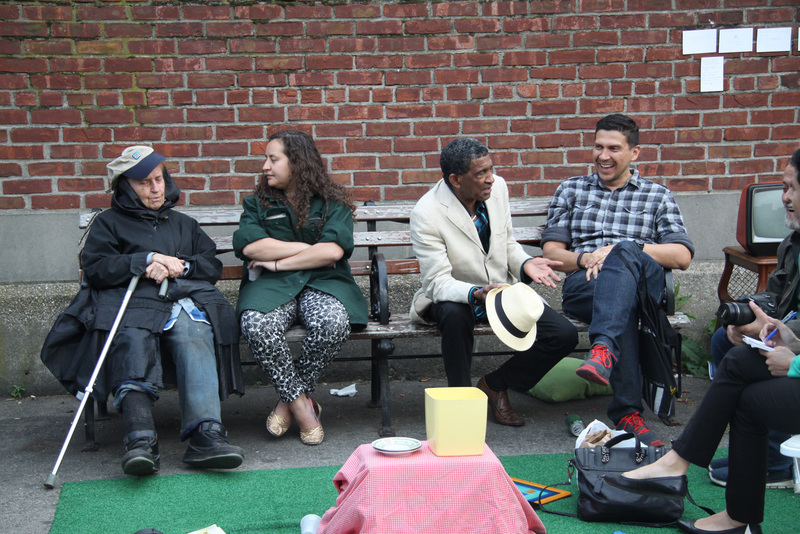 5 created a space to discuss about the way how people consume. 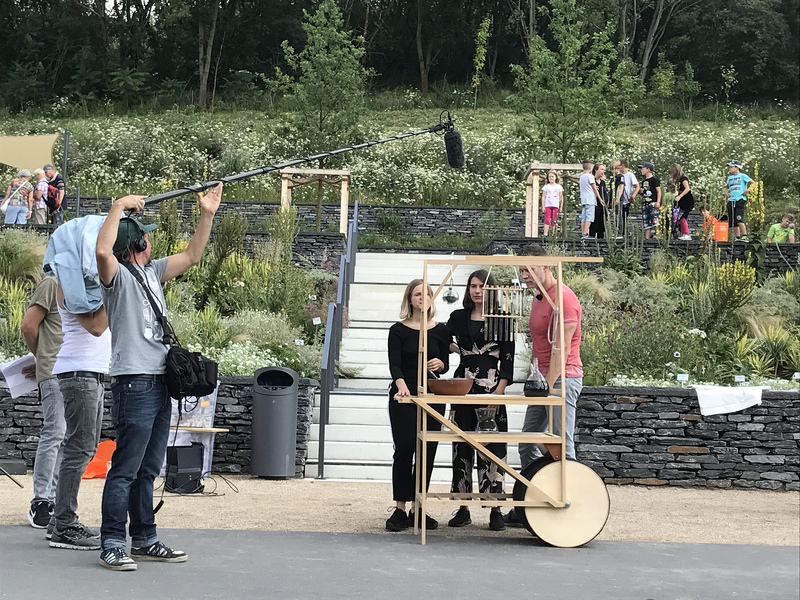 As a result, a few possibilities were set up about, how to be more inventive and sustainable in the way of living in a country like Denmark. 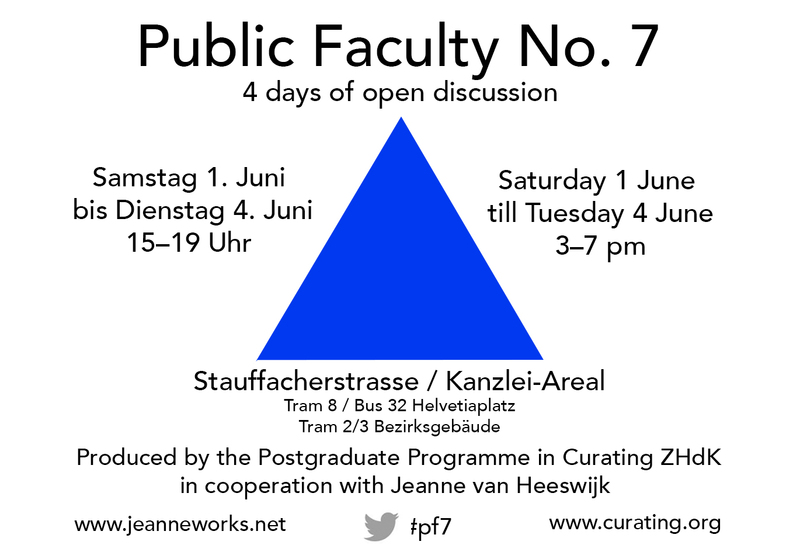 The Postgraduate Programme in Curating ZHdK, in cooperation with Jeanne van Heeswijk, presented the 7th installment of the Public Faculty series in Zurich. In this edition, the series came to “Europe's Landlocked Island” of Switzerland to question the idea of borders, as well as notions requisite for the enforcement of this idea, such as security, solidarity, and compliance. Switzerland has a history of strong borders and an established tradition of civil defense to enforce it. But what does that mean now in the 21st century, when borders have become virtual as well as physical? Who needs protection? People? Assets? Institutions? And who should be protecting? War? Global crises? Science? The Internet? Have existing measures of Civil Defense become merely symbolic, only an image we need to feel secure? In this age of civil airplanes as terrorist weapons, what are we willing to give up for our protection? Liquids? Swiss-Army knives? Shoes? Underwear? How about civil liberty? Privacy? Minarets? How far are we willing to comply? Is protection ultimately a self-inflicted trap? How about the other venerated Swiss traditions of neutrality and diplomacy? Are they not more relevant than ever before? Is there not strength in communities? Is protection not built on solidarity? 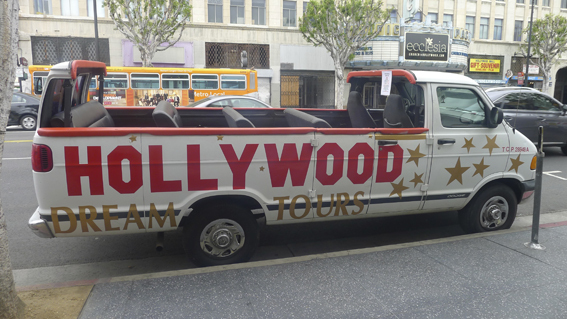 For four days, Public Faculty No 8, Los Angeles will be located on and around Hollywood Boulevard, where many segments of the public are to be found. 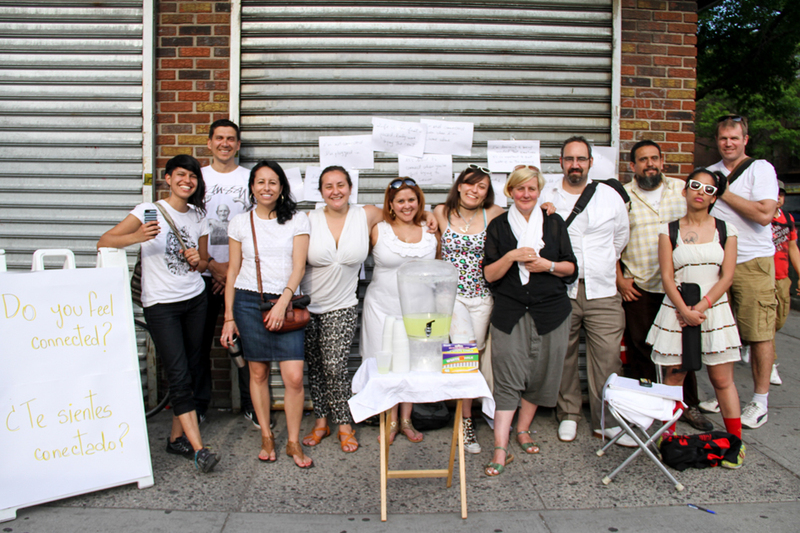 The project will engage in informal conversations with passers-by on the desires and expectations for the future of the neighborhood. 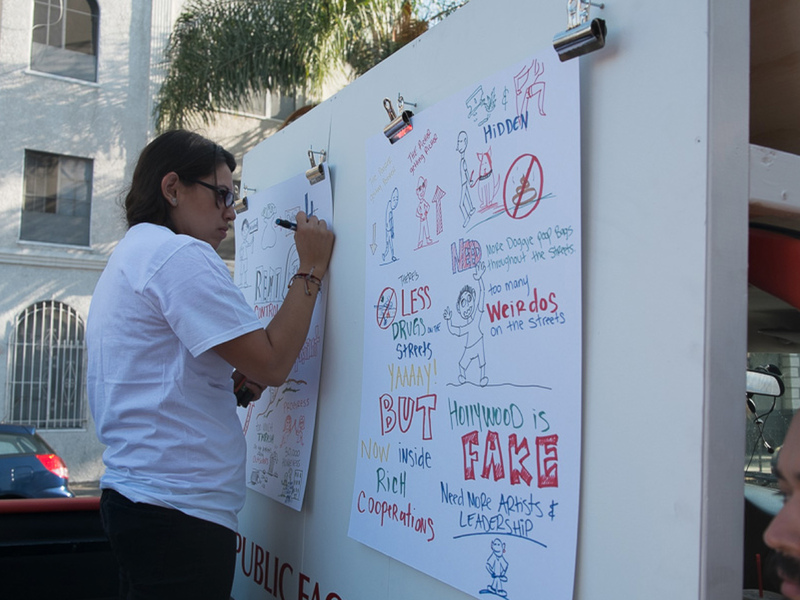 It will visually map out a dialog in text and drawings about those who are affected by the redevelopment of Hollywood, exploring the idea of publicness and its relation to active citizenship in our global cities. Events are in collaboration with community organizing groups including LA Voice, Yucca Corridor Coalition, Restaurant Opportunities Center of Los Angeles, and My Friend's Place. 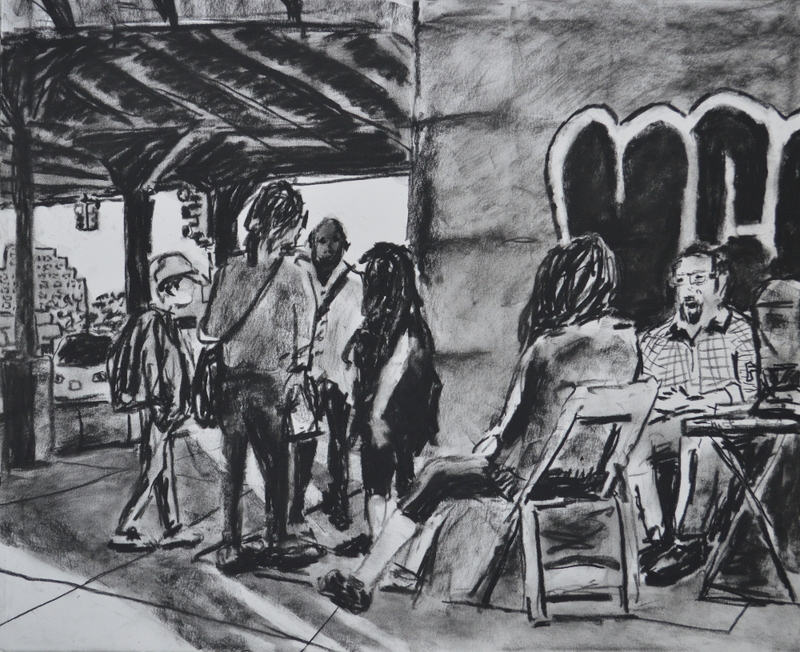 Writing by Melinda Guillen and Drawing by Emilio (EJ) Venegas Jr.
with Karla Diaz and My Friend's Place. 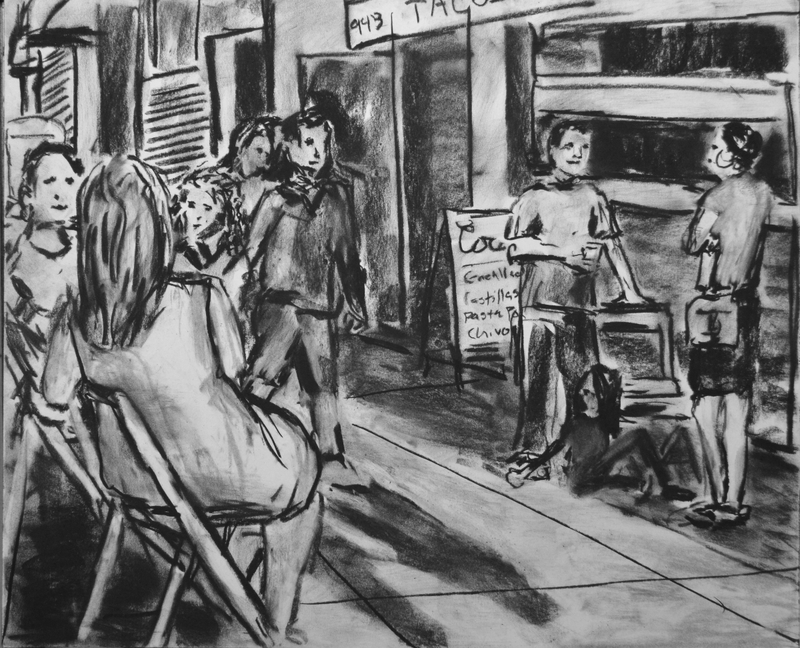 Writing by Erick Huerta and drawing by Emilio (EJ) Venegas Jr.
Public Faculty No.8, Los Angeles was developed through conversations with Christina Sanchez Juarez and Cayetano Juarez, Karla Diaz and Mario Ybarra Jr., Dont Rhine and Ultra-red, Carol Zou, Anne Bray, Jacqueline Bell, and Carol Stakenas. 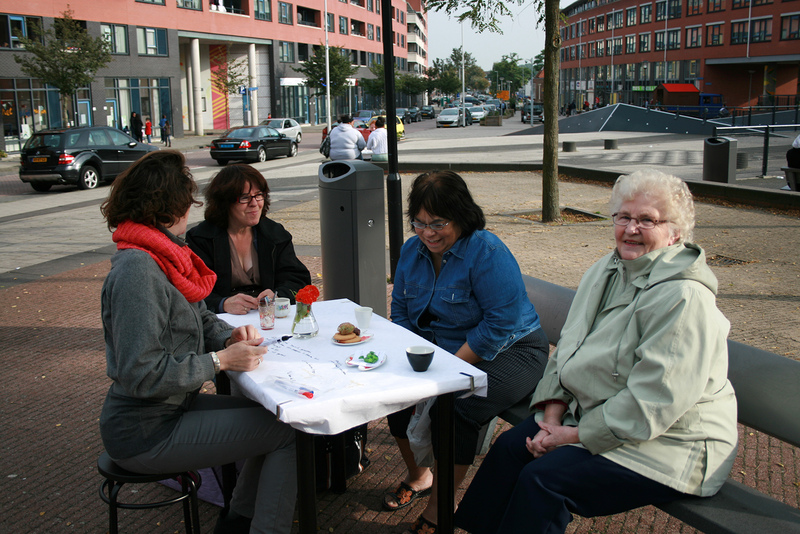 The project is initiated by Dutch artist Jeanne van Heeswijk and organized in collaboration with Carol Zou. Photograph by, and courtesy of, Carol Zou. 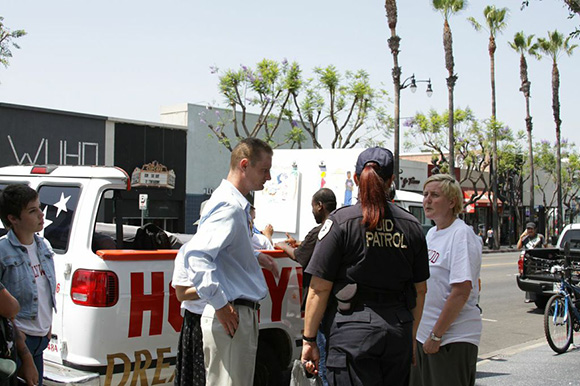 Public Faculty No.8, Los Angeles: Canvassing desires of the street is made possible through support from the Department of Cultural Affairs: Cultural Exchange International Program. 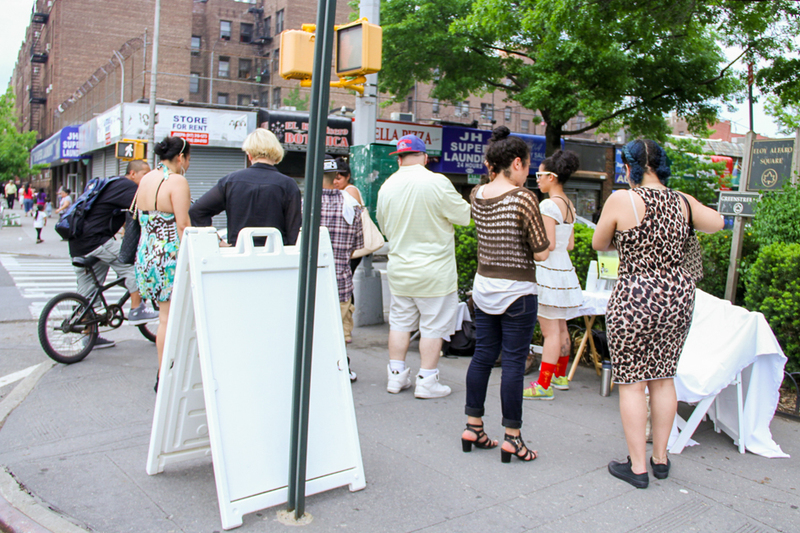 Additional support is provided by Otis College of Art and Design: Public Practice. Support for LACE and its programs are provided by the Getty Foundation, the Andy Warhol Foundation for the Visual Arts, the City of Los Angeles Department of Cultural Affairs, James Irvine Foundation, Los Angeles County Arts Commission, Metabolic Studio, the Audrey & Sydney Irmas Charitable Foundation, the Visual Artists Network, a program of the National Performance Network, Stone Brewing Co., and the members of LACE. 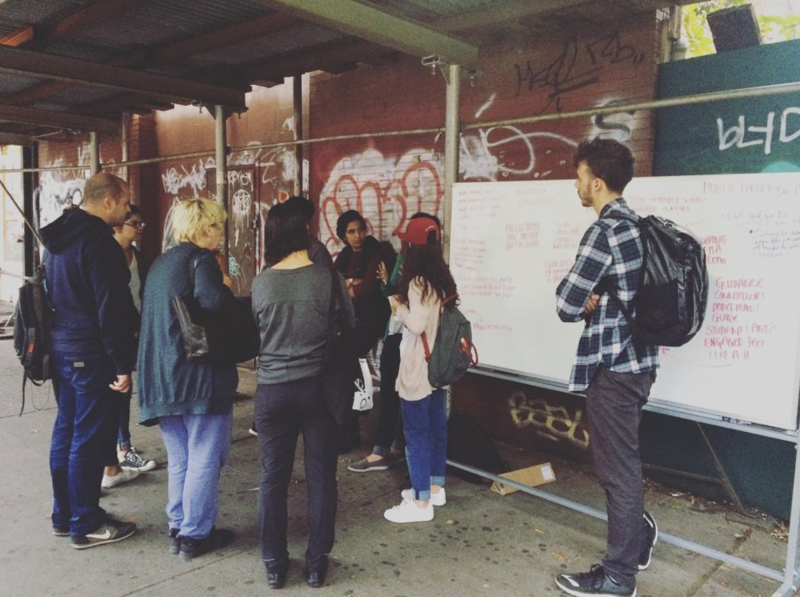 Over the past 4 months a group of over 20 artists, educators, and organizers have met at a monthly workshop led by artist Jeanne Van Heeswijk to discuss what it means to truly connect in a place as diverse as Queens. 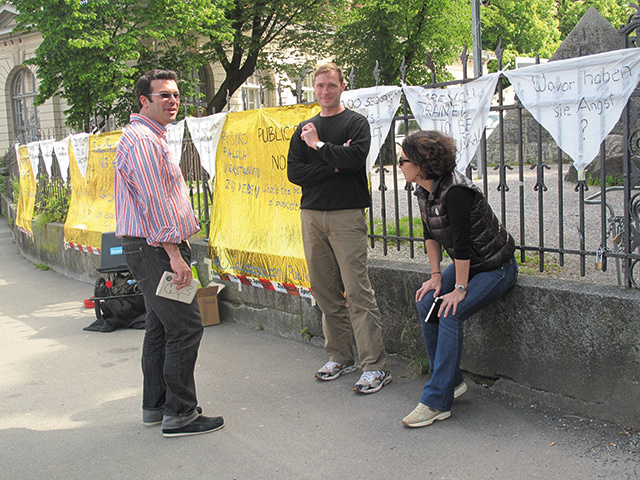 We took these conversations to the street from may 14-17. 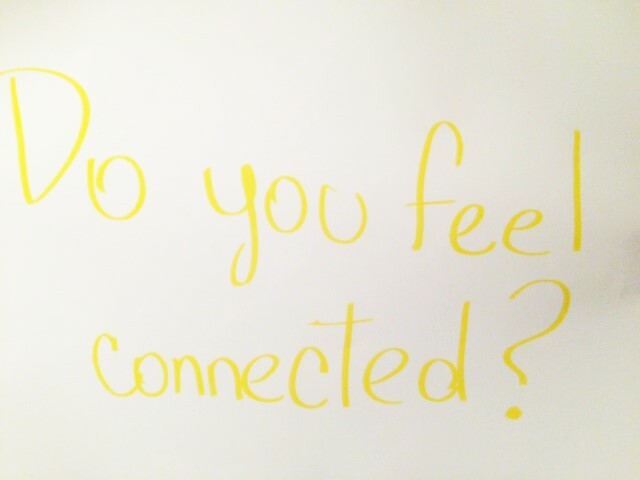 For 4 days of public conversations and reflections, delving deep into questions of connection and build connections. 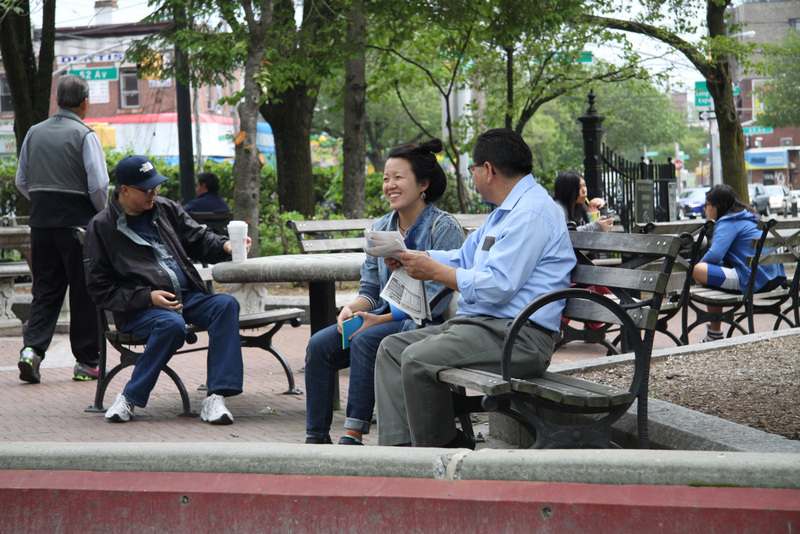 The conversation took place in various locations in Elmhurst, Jackson Heights, Corona and Junction Blvd. The Queens Museum’s Open A.I.R. 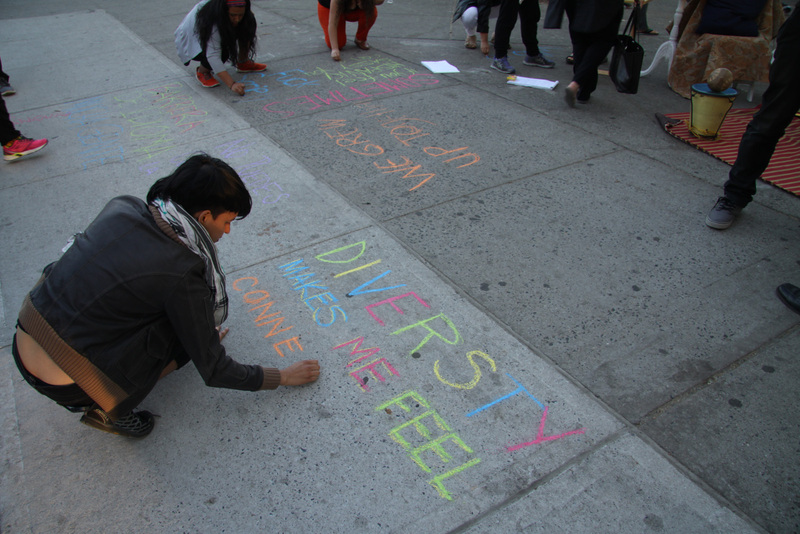 Artist Services Program invited artists, cultural and community organizers, educators, and community members invested in long-term work with immigrant communities, youth, communities of color, queer communities and low-income communities to join in the development of the Public Faculty no. 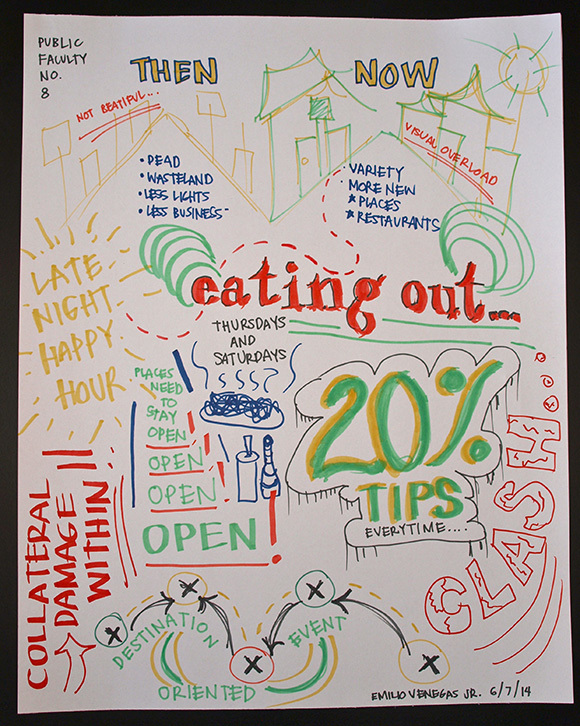 9, a multi-session collective learning experience. 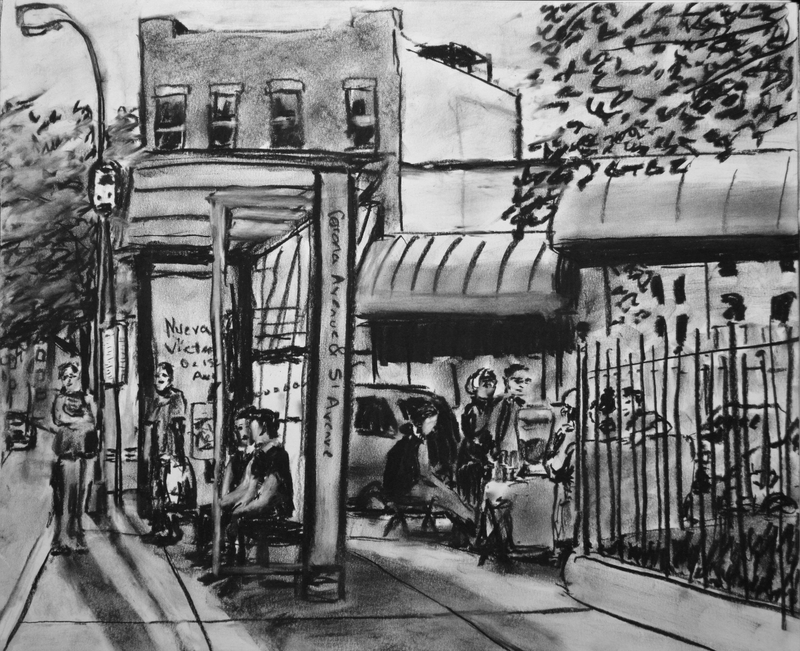 The Queens Museum has long prioritized embedded community work seeing itself as a neighbor in the community and valuing cross-disciplinary partnerships. 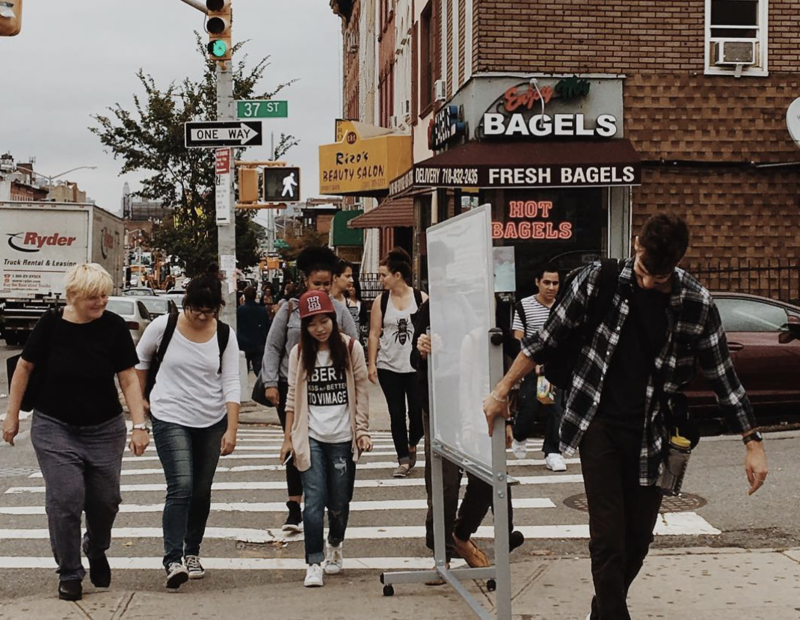 QM believes in the importance of accessibility of public space and the need for community voices organizing around community issues. 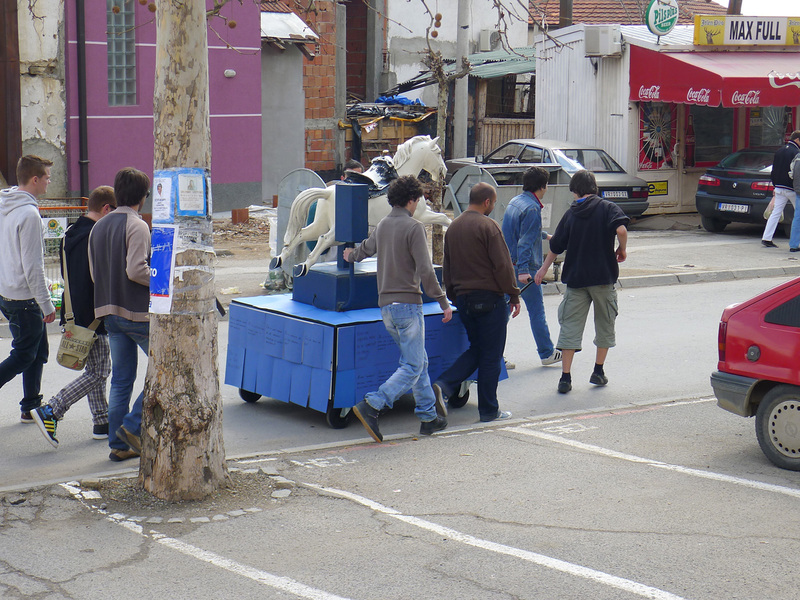 The workshop investigated ways in which spaces could be related to innovative social en economic practices in the Stolipinovo neighborhood of Plovdid, through a process of knowledge exchange between the Roma community and local residents. 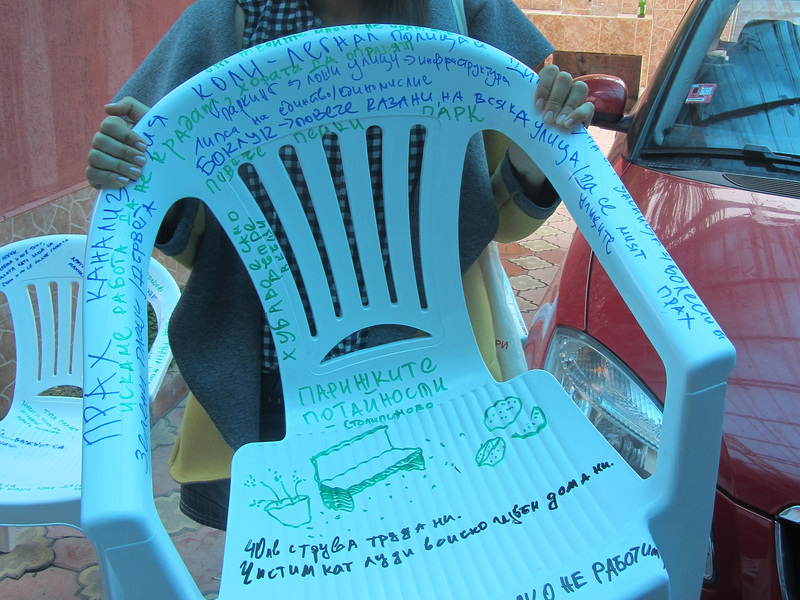 We organized some workshops with the Roma people there, where we discussed with them how they relate to the river. 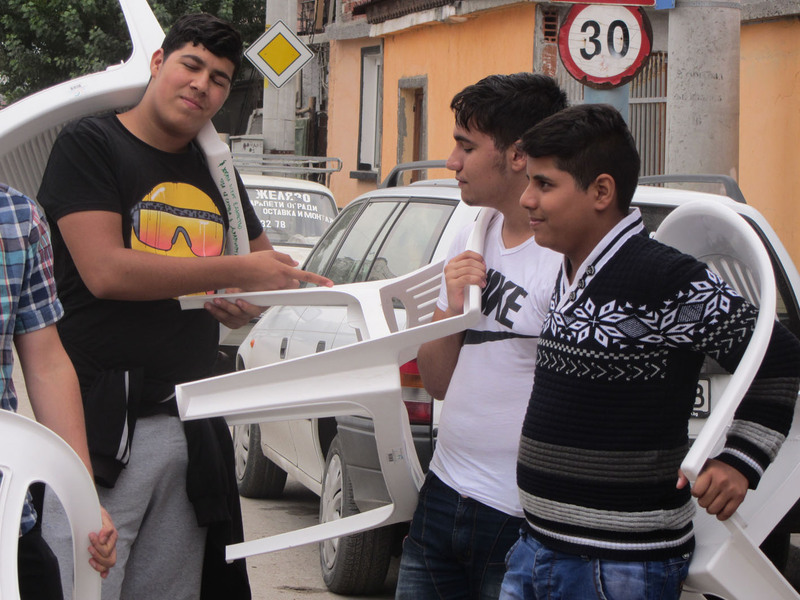 Helped by a group of some Bulgarian students and recent graduates, and assisted by a local NGO, a group of young Roma boys was gathered. 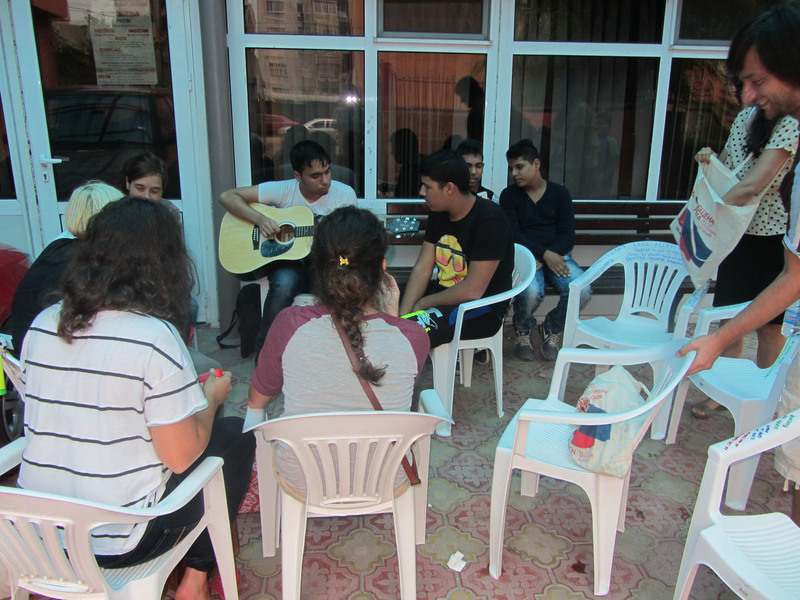 With them we developed a song, which expresses their personal frustrations about their position in society. The boys performed the song in 4 consecutive days, each time moving closer to the city centre. 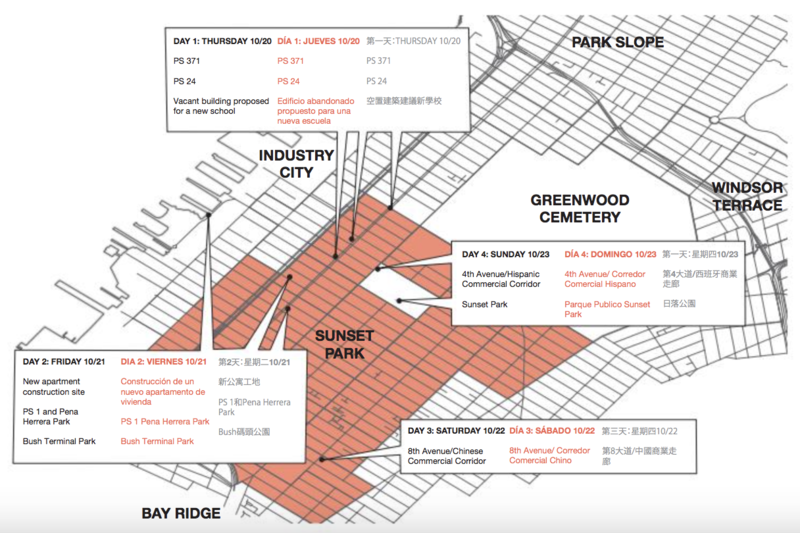 Imagining a Curriculum for Sunset Park was envisioned as a tool to unearth the voices of residents, parents, students, and teachers from an immigrant neighborhood where basic services have not satisfied some of the needs of its increasing population due to lack of public investment and attention. 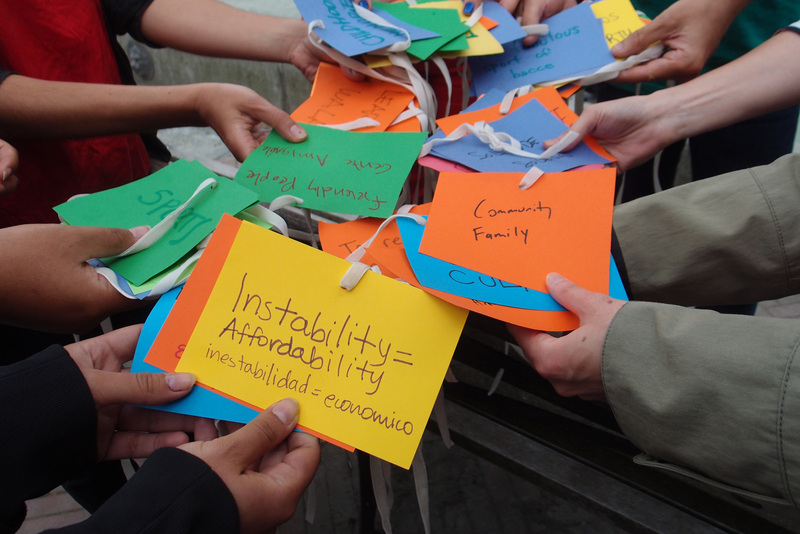 An initial open-ended question was formulated: What makes a good school? With follow up questions that included: What is a good school for you?, What makes a good space for learning?, and What is your favorite thing/aspect about school/learning?. The locations for conversations were discussed during the workshop and places where the different local communities - Chinese, Hispanic and Middle Eastern - congregate were selected. 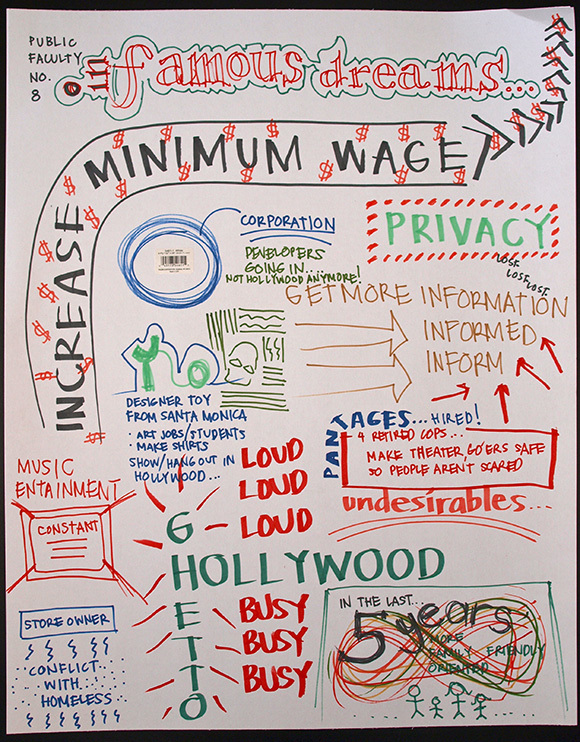 A large white board was used to document the conversations each day. 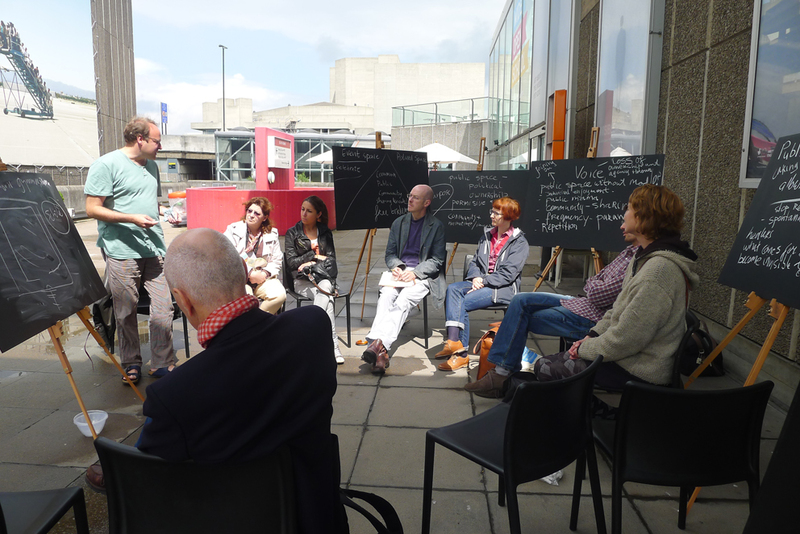 The board served not only as a sketchbook to archive different voices but also as a space for knowledge exchange. 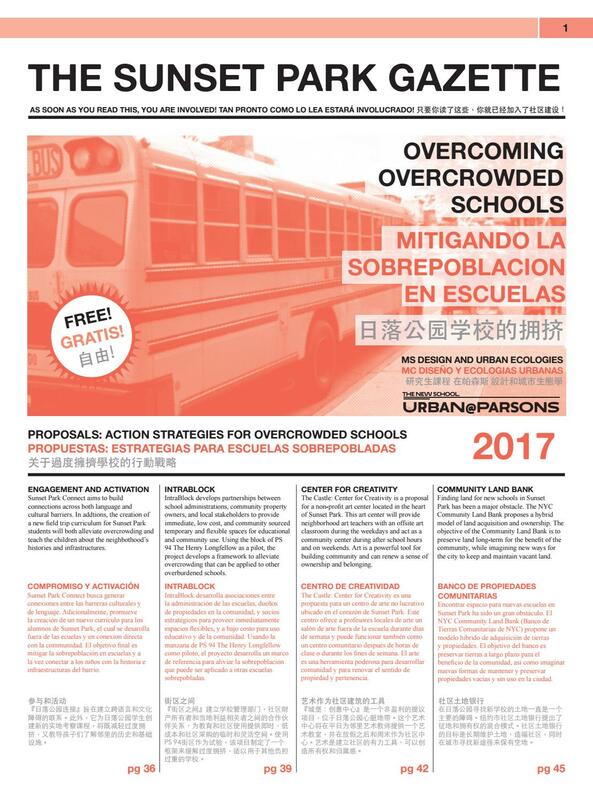 The most recurrent topics addressed collaboration between schools and families, budget for enrichment programs, embracing cultural and language differences, the need for after-school programs to assist immigrant and working parents, as well as other issues related to the lack of quality spaces for regular instruction, enrichment classes, recess and other learning environments capable to facilitate education improvement. 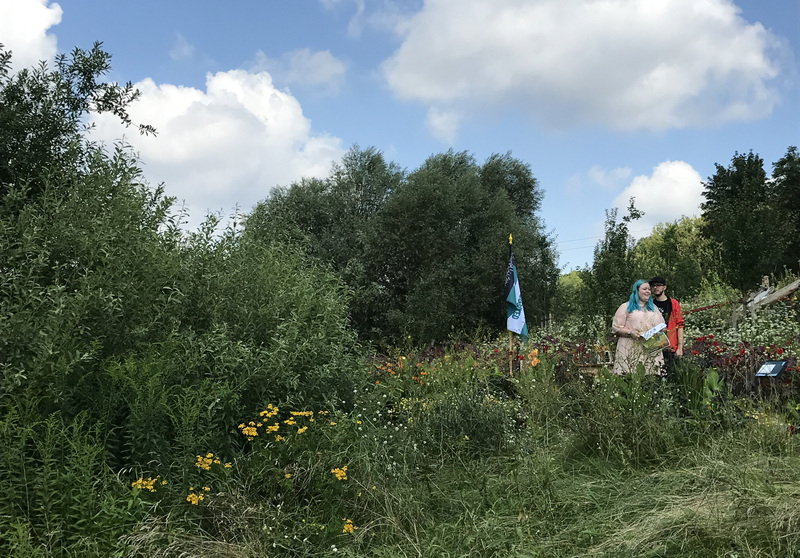 From 27 until 30 July 2017, Jeanne van Heeswijk invited artists and IGA visitors to the “Unkrautlabor. 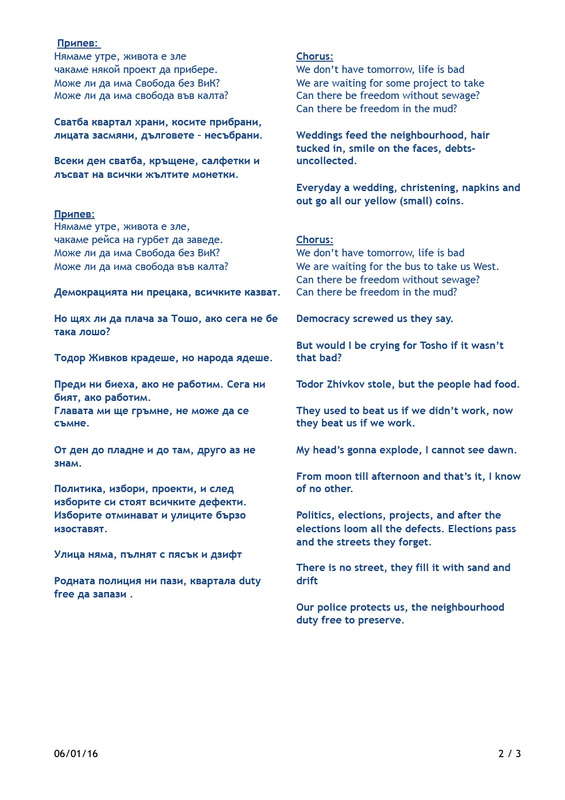 A Public Faculty about Resistance”. 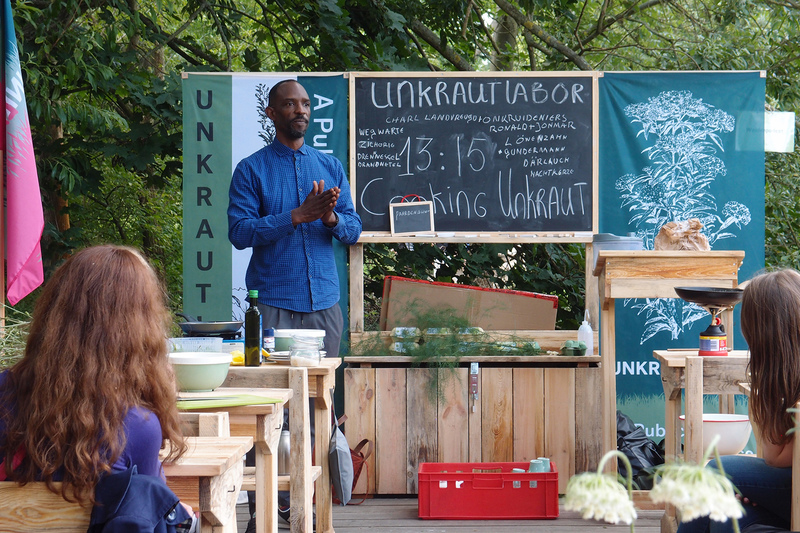 Non-existent from a natural history perspective, the term Unkraut is widely used in common parlance and mostly means something undesirable and irritating. Van Heeswijk challenges the usual distinction between herb and weed, cultivated and uncultivated, compares both in their diversity and opens up new conceptual spaces of experimentation. 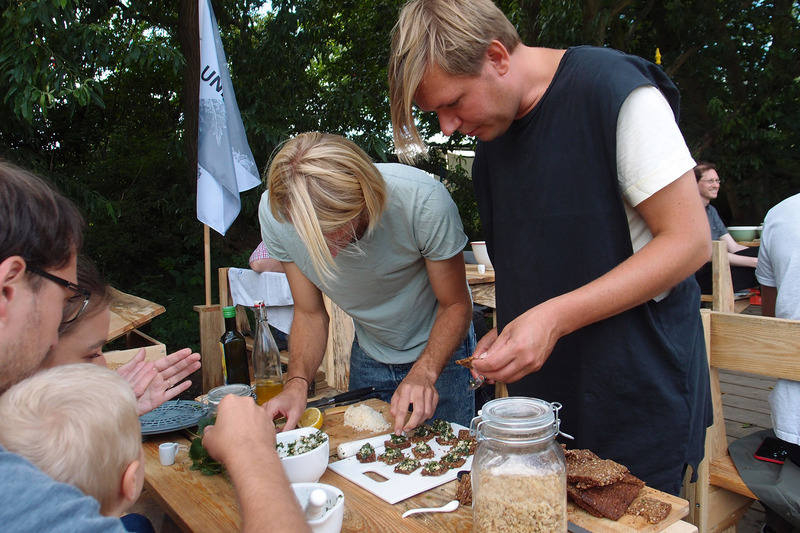 The “Unkrautlabor” was a collaborative and unconventional place of learning and was part of IGA campus. Katrin Fritzsch, Essi Johanna Glomb and Rasa Weber, Charl Landvreugd, Antonia Isabelle Weisz and De Onkruideniers. Special Thanks to: Tihomir Velikinac - Roter Baum Berlin, Henriette Waal, Matthias Heumeier and Tristan Biere.